Swedish film actress and an international star and icon during Hollywood's silent and classic periods (1905-1990). 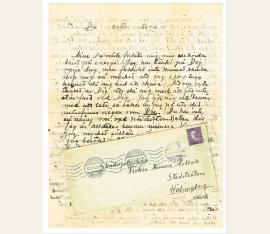 Autograph letter signed in Swedish „Gurra“. Culver City [post stamp]. 4to. 4 pp. 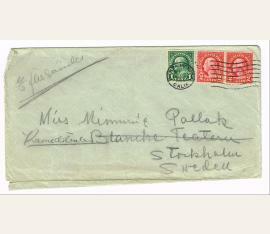 With autograph envelope (stamp partially removed). 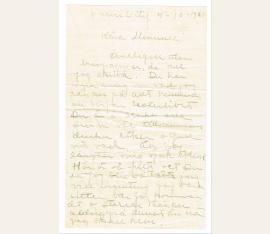 Greta Garbo’s letter to fellow actress and friend, Mimi Pollak at the Blanche Teatern in Stockholm about Anna Karenina and a present for her friend John Gilbert: „[…] I am now working on a film, Anna Karenina but it is not a good director so I’ll probably follow suit. I am busy from morning till night. Mimosa forgive me for I am about to ask you for something. I know it is not fun to run around for others and find things. But you have good taste and your are the only one I can ask. Forgive me once more before I ask. Would you get one of those Swedish aquavit bottles. You know with the heart and flowers and 12 matching glasses. And something else. You know those peasant tapestries in all colors. I’d like two with a dark batten. […] I have often so often wondered about Sven recently. How is he now. Give him a hug from me and your little father and mother. I long so to be able to come again, but the old house has been torn down. I long for it with it’s own special smell. […] Now I am going down to work. Everyone is waiting and when I come down the bastards will say, ,Ready for you Miss Garbo’ [in English] Darling Mimosa don’t forget me. Gurra […]“ - Anna Karenina was directed by Edmund Goulding. 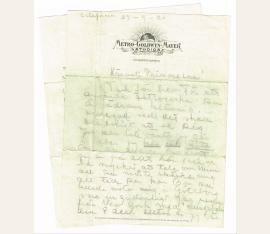 The gift was actually for John Gilbert according to Mimi Pollak’s handwritten note on the envelope. Garbo obviously had some sort of social life or she wouldn’t be asking for a set of 12 drinking glasses. Full Engish translation available. - Some tears to folds. ,20120. Swedish film actress and an international star and icon during Hollywood's silent and classic periods (1905-1990). 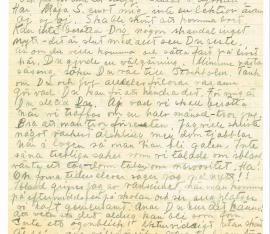 Autograph letter signed (pencil) in Swedish „Gurra“. Stockholm. 4to. 4 pp. With autograph envelope. 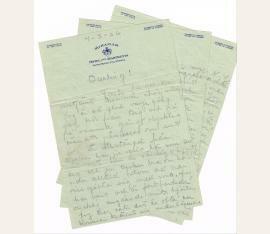 Greta Garbo’s letter to fellow actress and friend, Mimi Pollak at Karlstadt: „[…] I am sitting in a dressing room. In an hour I and Barbro [Djurberg] and Vieweg will go to the stage and start. God how terrible it is no Mimmi wherever I go and when I sit here at night I just wait that you will take your place. It’s dead here. No spirited people who laugh and smoke, bellow and swear. I always think of you Mimmie, I think that I’ll meet you anytime by chance. Can’t believe that it is true that you are down there alone and I am here alone. You understand that I must scribble a few lines to you when I sit here and look at your and my and Vera’s dressing room. Old times. The old drama school. You are just a memory [Selma Lagerlöf]. Darling I want to congratulate you on your latest success that Mona told me about. May it always go well for you Misse. You have to tell me everything about yourself. I know nothing now since we parted. Moje has traveled to Berlin maybe the whole thing will come off. Now I am lighting an abdulla cigarette with roseblad and sink into memories where your goodbye always plays the greatest role - that is to say the leading role. Gosta asked me to say hello. He still gives you the place as the best little woman he knows. I love you and if you love Nisse, I love him also. […] God what an eternity since we saw each other. It isn’t always right what happens. Darling, now I am going to get ready, that is to say I am making myself up not just with black around the eyes so that I look like an owl. Soon the curtain will go up. Goodnight. Goodnight my little gal. […] I am so sad! My [in German] […]“. Swedish film actress and an international star and icon during Hollywood's silent and classic periods (1905-1990). 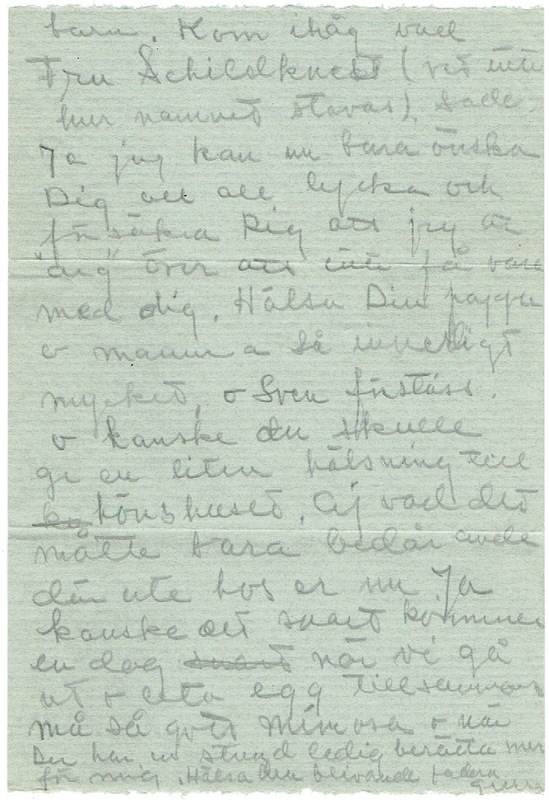 Autograph letter signed in Swedish „G-son Garbo“. 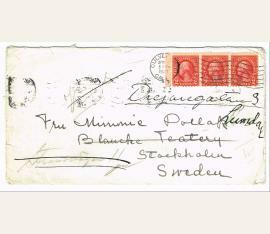 Stockholm [post stamp]. 8vo. 3 pp. With autograph envelope. 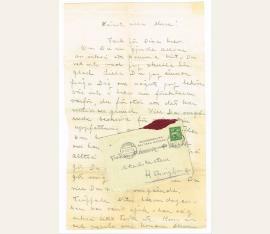 Greta Garbo’s letter to fellow actress and friend, Mimi Pollak at Karlstadt on her birthday: „[…] Thank you for your scrupptious letter. You can understand that I became happy. Happy Year, I mean new, may you have luck and success in the coming year. G-son Garbo poetic and strange world. You understand that I am so demonstrative. 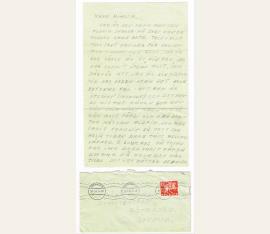 It’s happened before - the difference between the envelope and the paper. Something strange closer to the actions of ,Snuton’. I am so confused that I can’t gather my thoughts to explain in detail the coming events. You were so sweet to want me to come visit you but unfortunately for many reasons which will be explained when you come to Stockholm. Darling you are missed. But on Monday you’ll get a big embrace from G-son Garbo. Sweet thought. God knows where I got that from. Schmitan and I have each gained 15 kilo (be quiet old Vera). We eat sour djur and snaps in the morning and champagne at night. Damn, why aren’t you here Mimmie Kitty Kit I mean as a cat. I think you are a beauty. […] Your friend in life and death, sorrow and joy - the last should have come first but surely you aren’t so hard to please, darling. Greet little mother and father nand little, little siblings. […]“ - The fourth page is written by Vera Schmiterlöw (1904-1987)..
Swedish film actress and an international star and icon during Hollywood's silent and classic periods (1905-1990). 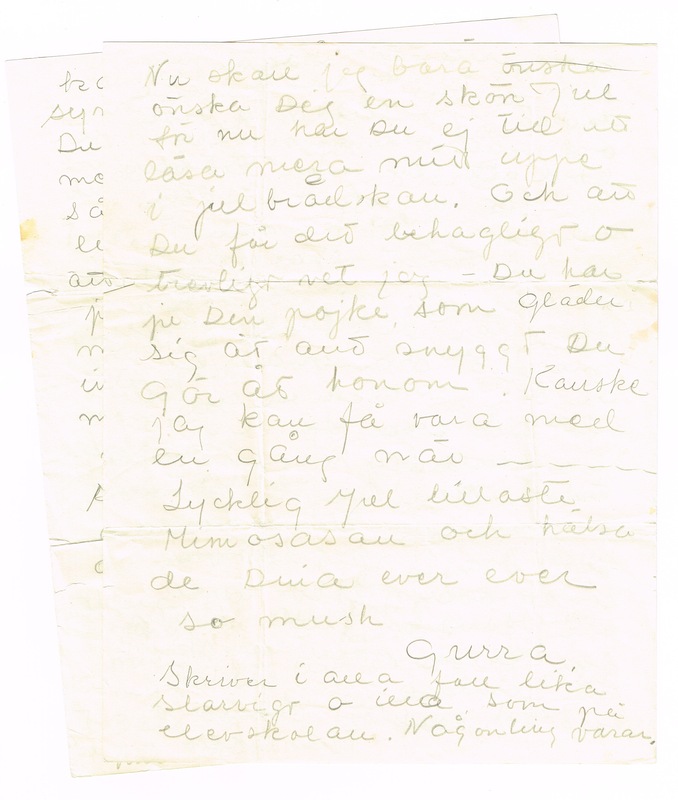 Autograph letter signed (pencil) in Swedish „Gurra“. No place. 4to. 2 pp. 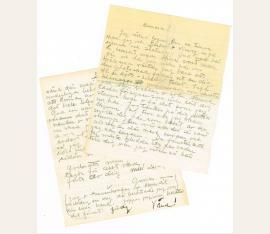 Greta Garbo’s letter to fellow actress, theatre director and friend, Mimi Pollak (1903-1999) at Karlstadt: „[…] And I am not doing a single thing. Stopped German. I have Maja S. against me not a lesson even. Oj, oj, oj. It will be a relief to get away. I can’t tell you any scandals, nothing new - everything is finished since you left. Oh if you would come and get life moving here, you would be doing a good deed. Mimmie next season you must be coming to Stockholm. Think if you and I completely lost touch with each other. Do what you can to avoid that. For me you are always you. […] I want to write something beautiful, darling but they are chattering here in the dressing room so that you can go crazy. Not such pleasant things as we talked about sometimes. Wait a moment - they are talking about nervousness. Ha! Oh former students I’m saying again. Sometimes I’m overcome with madness when I come in the afternoon to school and see all the places we had together. […]“ - Pollak attended the Royal Dramatic Theatre school in Stockholm, Sweden with fellow actress Greta Garbo from 1922 to 1924. Garbo moved to the US in 1925 and as Pollak married in 1927 and later had children, although they did maintain contact for over 60 years. 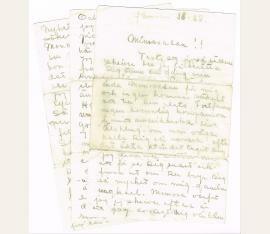 Their relationship and letters are portrayed (published in parts) in the Swedish book Djävla älskade unge! (Bloody Beloved Kid), written by Po Tin Andersén Axell (2005), and in Garbo's personal writings, released in Sweden the same year..
Swedish film actress and an international star and icon during Hollywood's silent and classic periods (1905-1990). 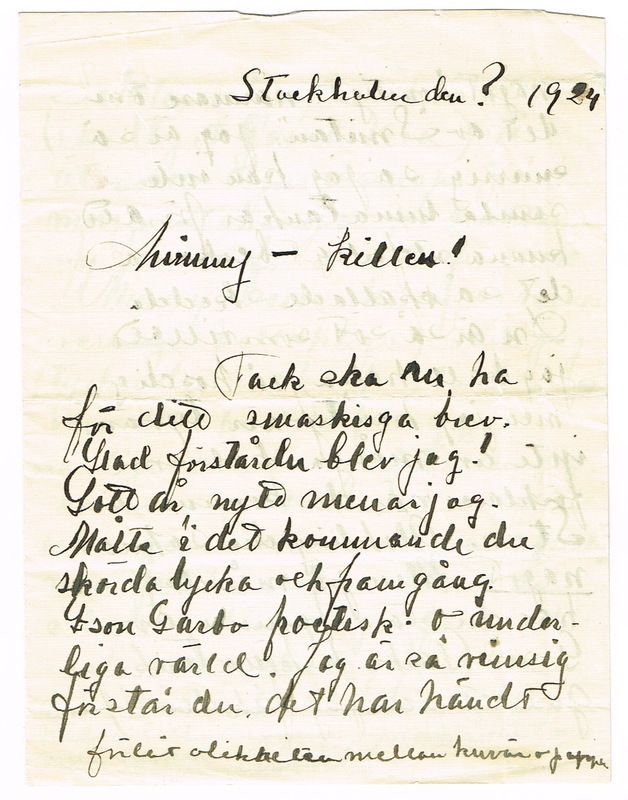 Autograph letter signed in Swedish „Gurra“. Stockholm. Large-4to. 2 pp. With autograph envelope. 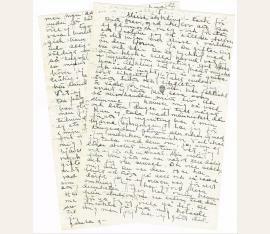 Greta Garbo’s letter to fellow actress, theatre director and friend, Mimi Pollak (1903-1999) in Helsingborg: „[…] You and me | Misse you must forgive me, my tremendous lack of energy. I have thought of you every day, but haven’t been able to gather myself together so that in peace and quiet I could write. It wasn’t kind of you to hit me with not standing by you. I don’t bother to look I am so certain that there isn’t anyone else like you. You don’t have any idea of how empty it is here without you. I am completely alone now. I see Vera very seldom. I haven’t gone to any theatre, not Dramaten. I am completely away from everything. I don’t feel that I belong here any more. A rather unfortunate feeling, you must believe. In Berlin it wasn’t fun because of the language - and it was so large that you felt a little lost. Then I longed for home but when I go to Dramaten during the day and see everything that keeps going on year after year I don’t know what kind of feelings I have. It is a mess - I don’t understand how everything has become. And it has been difficult on another front also. Joje is out of sorts (ill.). If he should become incapacitated (bed-ridden) maybe everything straightens out, Misse, then I shall come to visit you before I leave. […] If it really is true that you have promised yourself, but I still don’t really believe, then you know that I wish you happiness (much). These matters are something that everyone must decide for themselves (without others) but forgive me I don’t think that I am honestly happy. But you know best yourself. Mimi I am loining myself sick over you now. I’d like to talk to you about so much. It is a good thing that I have gotten a little something to do, otherwise I would talke my suitcase and go to you. I’m studying German and trying on loads of clothes at N.K. Soul destroying (deadly boring) believe me. That is why I am so tired at night and postpone writing. It may not be news for you, Knut M. [Knut Martin, class entering September 1924] had a brilliant try out and is now a student at the Royal Dramaten. I marvel at his energy. […]“ - Pollak attended the Royal Dramatic Theatre school in Stockholm, Sweden with fellow actress Greta Garbo from 1922 to 1924. Garbo moved to the US in 1925 and as Pollak married in 1927 and later had children, although they did maintain contact for over 60 years. 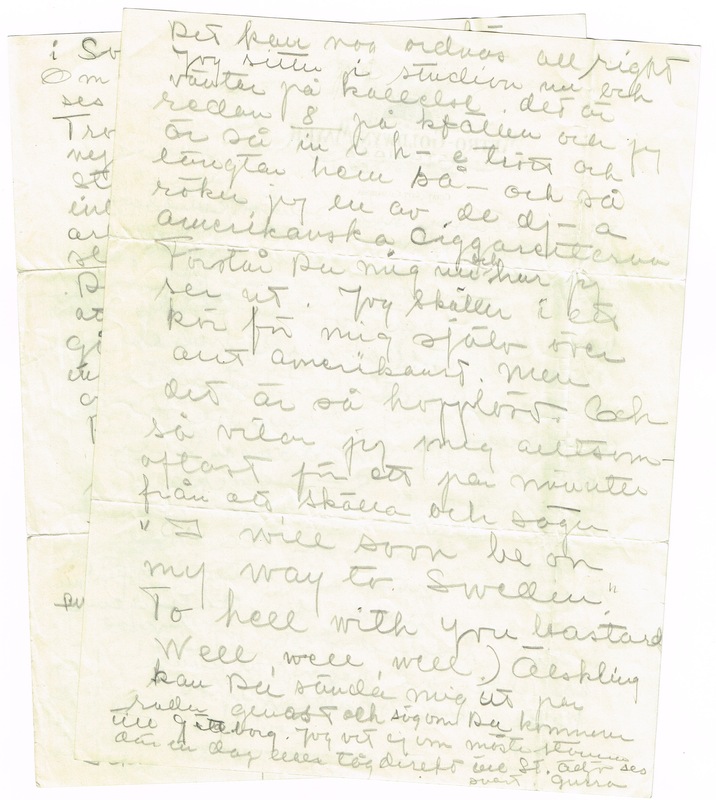 Their relationship and letters are portrayed (published in parts) in the Swedish book Djävla älskade unge! (Bloody Beloved Kid), written by Po Tin Andersén Axell (2005), and in Garbo's personal writings, released in Sweden the same year. - Pollak was married 1927-1938 to Swedish actor Nils Lundell (1889–1943)..
Swedish film actress and an international star and icon during Hollywood's silent and classic periods (1905-1990). 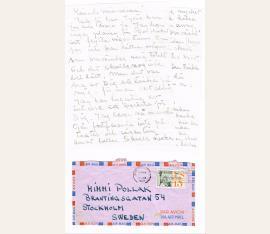 Autograph letter signed in Swedish „Greta“. No place. 8vo. 4 pp. 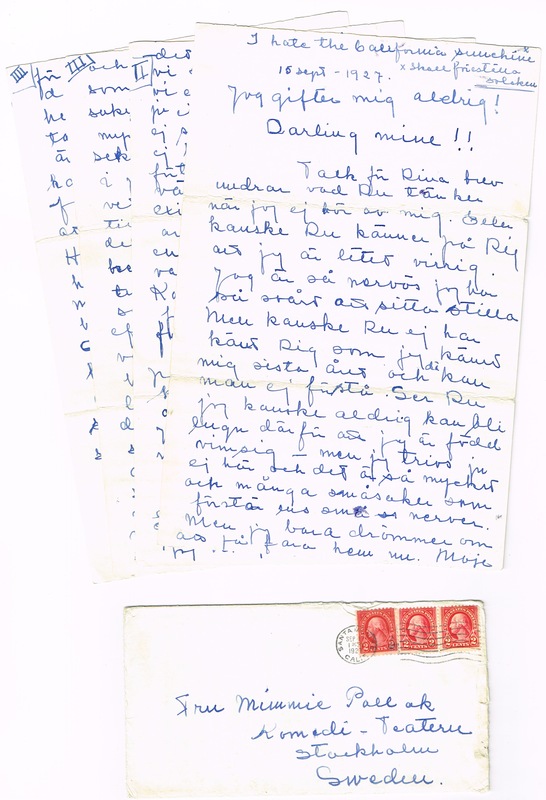 Greta Garbo’s letter to fellow actress, theatre director and friend, Mimi Pollak (1903-1999) in Helsingborg. 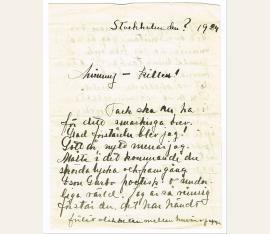 A farewell letter as she is about to leave Sweden for America, mentioning her friend Moje [Mauritz Stiller, Russian-Swedish director, 1883-1928] has been out of the picture for so long: „[…] When you get this I will be ready to travel to America. I had thought for a while that we could be together next season but ... A few days ago Moje called me for the first time in two months and informed me about the trip to America. I am leaving as a rather unhappy young lady as you can understand. How I would have liked to have talked to you before this. Thank you my darling for your enchanting letter. If you knew how good it feels to have a person who is so sweet toward one I love you, I thank you. I am happy for you. Mimmie, I heard someone say today that Nisse was so boundlessly in love with you. You more than anyone deserved to be happy. If I come back in a year, I hope that I can bask in your presence since myself can never find any sun. You are the only one, darling, that I have really talked to about what hurts and I want to keep you Mimmie as my good, good friend. Oh, how I have longed for you. I have been jealous of Kilo and because of that I have never met him. Say hello from me. He must think I am a buffer. Mimmie I’ll send you my address later if you want to write even though I am so far away. […]“ - Pollak attended the Royal Dramatic Theatre school in Stockholm, Sweden with fellow actress Greta Garbo from 1922 to 1924. Garbo moved to the US in 1925 and as Pollak married in 1927 and later had children, although they did maintain contact for over 60 years. 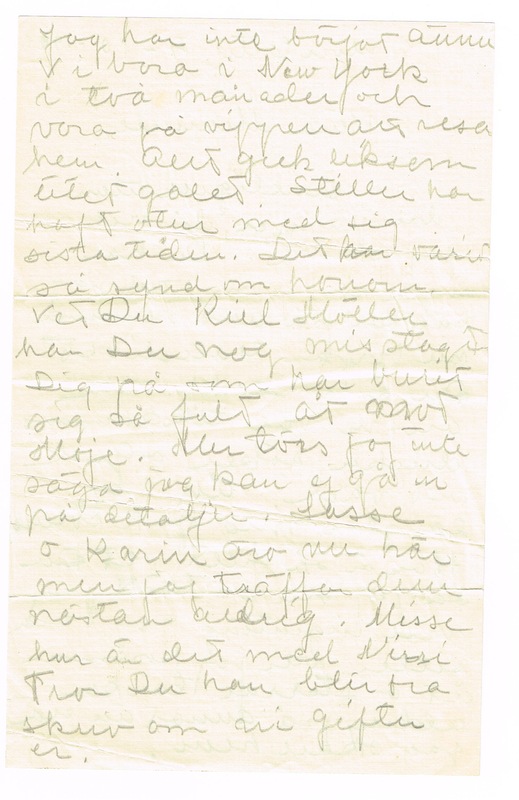 Their relationship and letters are portrayed (published in parts) in the Swedish book Djävla älskade unge! (Bloody Beloved Kid), written by Po Tin Andersén Axell (2005), and in Garbo's personal writings, released in Sweden the same year..
Swedish film actress and an international star and icon during Hollywood's silent and classic periods (1905-1990). 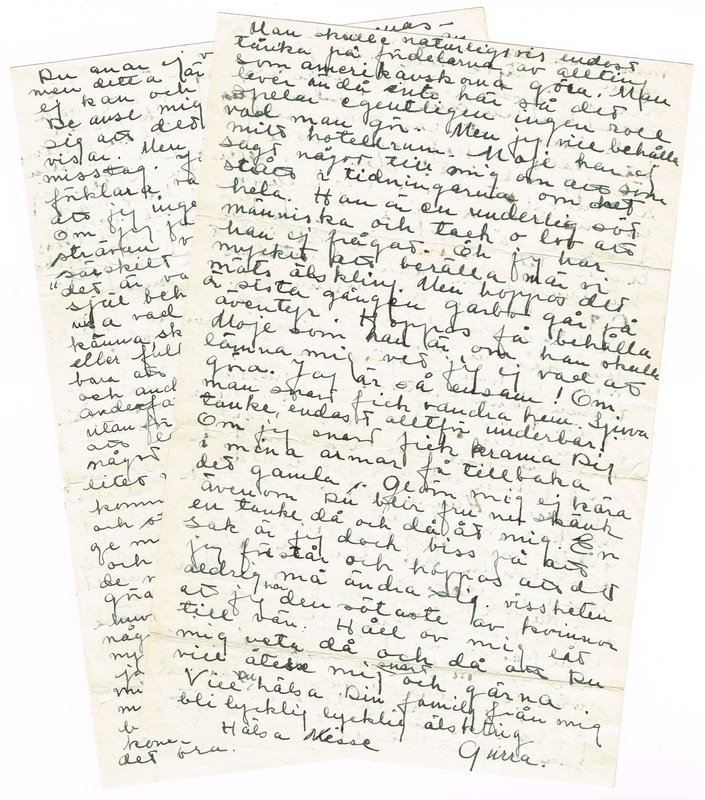 Autograph letter signed [pencil] in Swedish „Gurra“. Stockholm. Folio. 2 pp. With autograph envelope. 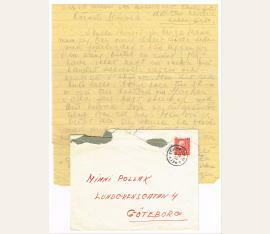 Greta Garbo’s letter to fellow actress, theatre director and friend, Mimi Pollak (1903-1999) in Helsingborg. Just before their departure Moje Stiller [Mauritz Stiller, Russian-Swedish director, 1883-1928] wanted to take along a secretary. Garbo asked Pollak about Kiel-Möller who was a very elegant, agreeable and cultured actor, called ,Kilo’: „[…] Thank you for your letter. If you now got serious about coming here - you don’t know how happy I would become. Little one I am going to ask you about something I ertainly don’t need to explain why in a letter, you know that it always has a reason. Would you immediately describe for me your perception of Kiel Möller. About his work, ability, if he is diligent and reliable. In other words everything about him. Do this for me, darling, and you will do me a favor - but will you answer at once. Met Nisse the other day - he had been sick - he looked a little tired. Now come and look after him Mimi […]“ - Pollak attended the Royal Dramatic Theatre school in Stockholm, Sweden with fellow actress Greta Garbo from 1922 to 1924. Garbo moved to the US in 1925 and as Pollak married in 1927 and later had children, although they did maintain contact for over 60 years. 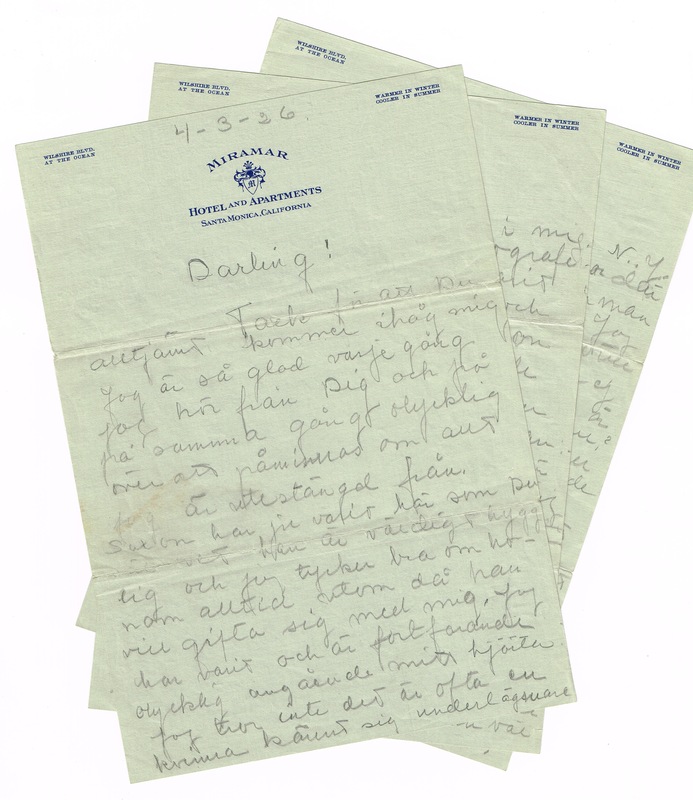 Their relationship and letters are portrayed (published in parts) in the Swedish book Djävla älskade unge! (Bloody Beloved Kid), written by Po Tin Andersén Axell (2005), and in Garbo's personal writings, released in Sweden the same year..
Swedish film actress and an international star and icon during Hollywood's silent and classic periods (1905-1990). 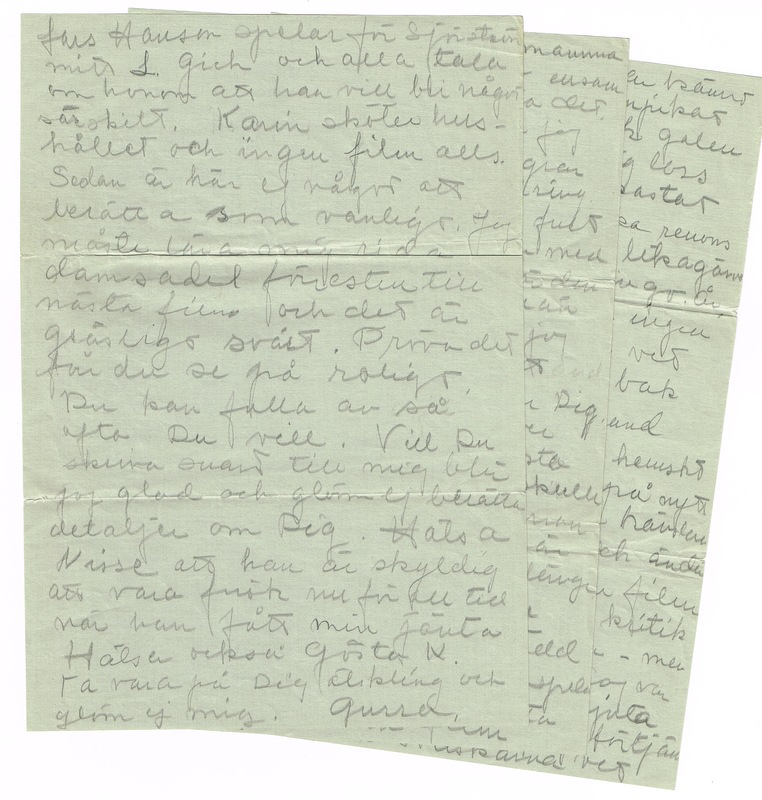 Autograph letter fragment [pencil] in Swedish. Culver City. 8vo. 2 pp. 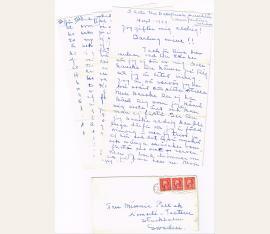 Greta Garbo’s letter to fellow actress, theatre director and friend, Mimi Pollak (1903-1999). Garbo arrived finally in Los Angeles after 2 months of difficulties in New York. Stiller [Mauritz Stiller, Russian-Swedish director, 1883-1928] and Garbo thought of returning home: „[…] At last out of writing paper, then I want to write. You have no idea what I am thinking about - that at home the theatre life is starting. You are in Stockholm, we all are together, drinking, smoking and God knows what. Oh I am longing myself sick sometimes. You know here it is so ugly that I get so tired I don’t want to do anything. I just sit staring, never thinking of anything but when I shall go home. I haven’t started yet. We lived in New York of two months and were just at the point of returning home. Everything went sort of haywire. Stiller has been unlucky lately. It has been a pity for him. You know, I think you have been mistaken about Kiel-Möller. He has acted so badly twoard Moje. I don’t dare say more, can’t go into details. Lasse and Karin are here now, but I almost never meet them. Misse how is it with Nisse. Do you think he will get well? Write if you are going to get married. […]“ - Pollak attended the Royal Dramatic Theatre school in Stockholm, Sweden with fellow actress Greta Garbo from 1922 to 1924. Garbo moved to the US in 1925 and as Pollak married in 1927 and later had children, although they did maintain contact for over 60 years. 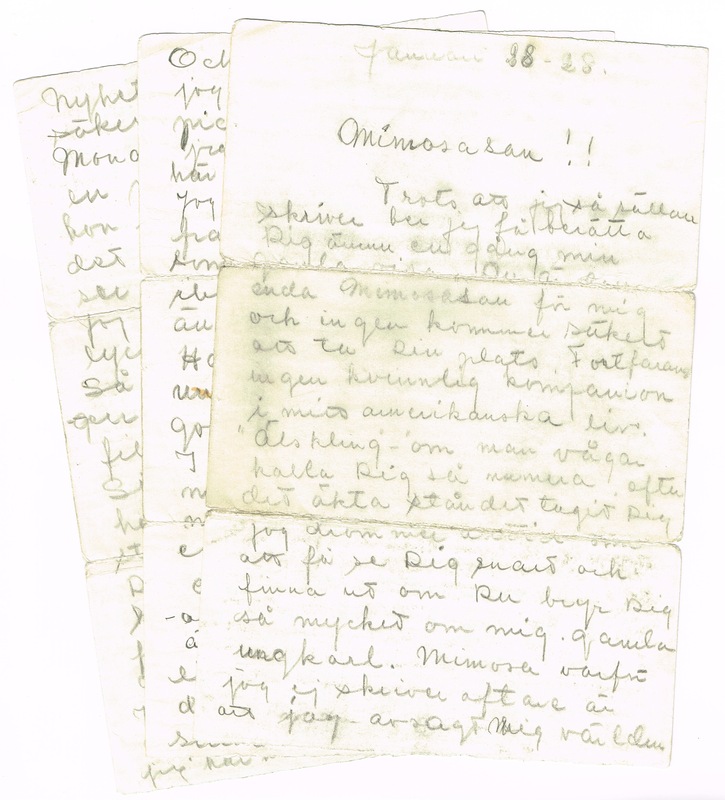 Their relationship and letters are portrayed (published in parts) in the Swedish book Djävla älskade unge! (Bloody Beloved Kid), written by Po Tin Andersén Axell (2005), and in Garbo's personal writings, released in Sweden the same year..
Swedish film actress and an international star and icon during Hollywood's silent and classic periods (1905-1990). Autograph letter signed [pencil] in Swedish „Gurra“. Santa Monica. 4to. 6 pp. With autograph envelope. On hotel letterhead „Miramar“. 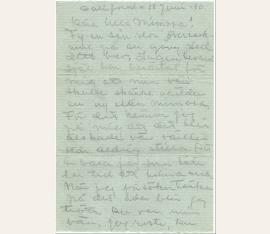 Greta Garbo’s letter to fellow actress, theatre director and friend, Mimi Pollak (1903-1999) in Helsingborg: „[…] I wrote that I was going to marry. I still can’t write anything more about it in a letter but I probably will never marry. You must believe that my head spins sometimes from pure unhappiness. I don’t want to see anyone. […] But it is sad that no one, no one is allowed to be really happy. If you knew how I long for home […] Let me tell you how I exist. I started my first film [Torrent] with an American director [Monta Bell]. Up at 6 and home at six or seven. Fall into bed and sometimes can’t sleep. And alone, alone. God how terrible it is. This ugly, ugly America, all machines. It is soul destroying in the highest degree. I never go out at night – just home to my dreary hotel. I never dress so people here must believe I live on starvation wages. Soon I won’t care about anything. If I only had a little money, I would go home. But to come home without it - then the old boring dance begins again. The only thing that gives me happiness is when I can wander down to the bank and send something home to my family. Of course I could go to Hollywood or Los Angeles it is only an hour by car, but I don’t want to meet all the film people, drink liquor and talk about things that I don’t wish to talk about. Also I think that you become ugly in this climate. Anyway everyone thinks so. So it is a little dangerous. They are very curious about me here at the studio it is said. You see, everyone stares and asks questions because I am new. And I don’t look at them because I am unhappy. They must think I am strange. I have gotten a large and elegant roll which is rare here. But I feel so sad that maybe I can’t act well in it. I am so curious and anxious about it. You must believe that all the brilliance with which we surround the American film is dimmed here. There isn’t a trace of elegance of style here. Lasse H. [Lars Hanson] and Karin are well established here now. Lasse is starting with Lillian Gish for Victor Sjöstrom. […] Hope that I have my film finished so that I have time to sse him somtime. Isn’t it strange, we were together quite a bit in Stockholm. He was very decent so I am happy that he comes for a visit. Isn’t awful Misse, bu I never even look at men (and of course not at women either). I would never be interested in them, never. For me, there only my old Moje. Isn’t that tragic? I’ll become a little ,spinster’.” […]“ - Pollak attended the Royal Dramatic Theatre school in Stockholm, Sweden with fellow actress Greta Garbo from 1922 to 1924. Garbo moved to the US in 1925 and as Pollak married in 1927 and later had children, although they did maintain contact for over 60 years. 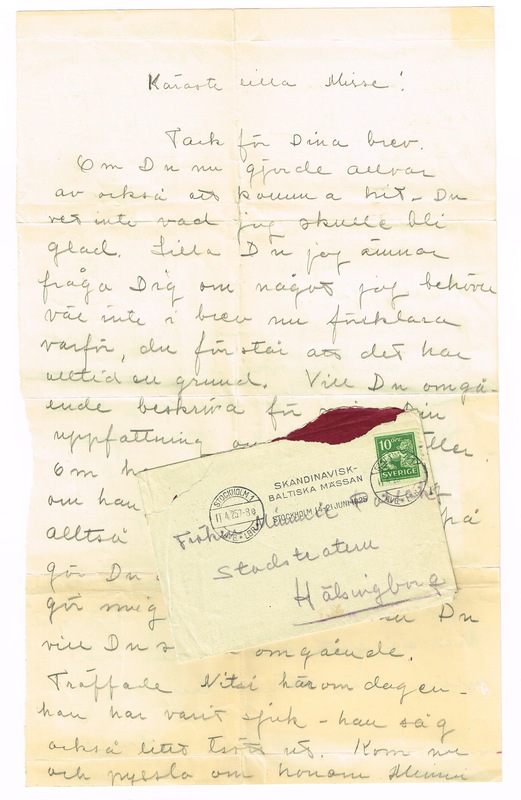 Their relationship and letters are portrayed (published in parts) in the Swedish book Djävla älskade unge! (Bloody Beloved Kid), written by Po Tin Andersén Axell (2005), and in Garbo's personal writings, released in Sweden the same year..
Swedish film actress and an international star and icon during Hollywood's silent and classic periods (1905-1990). 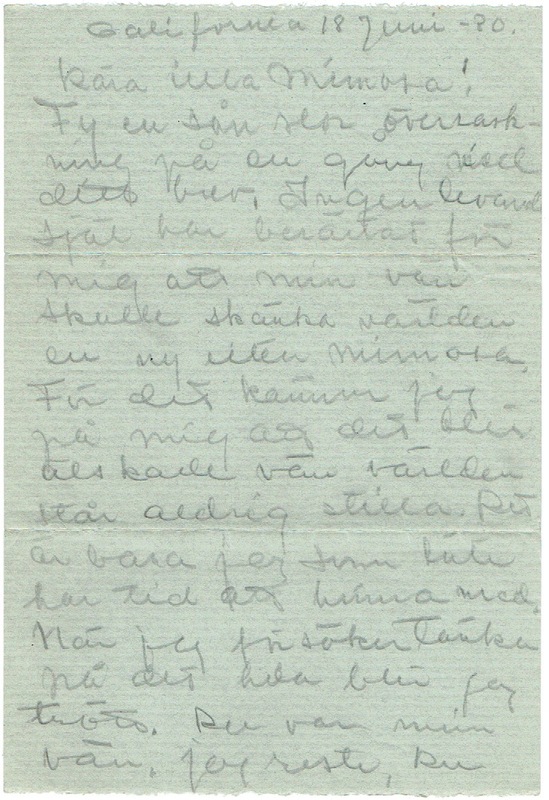 Autograph letter signed [pencil] in Swedish „Greta“. Santa Monica. 4to. 6 pp. With autograph envelope. 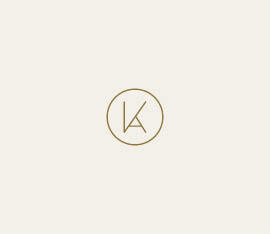 On hotel letterhead „Miramar“. Greta Garbo’s letter to fellow actress, theatre director and friend, Mimi Pollak (1903-1999) in Stockholm on the death of her sister Alva; frustrated with American directors and quality of filmmaking. 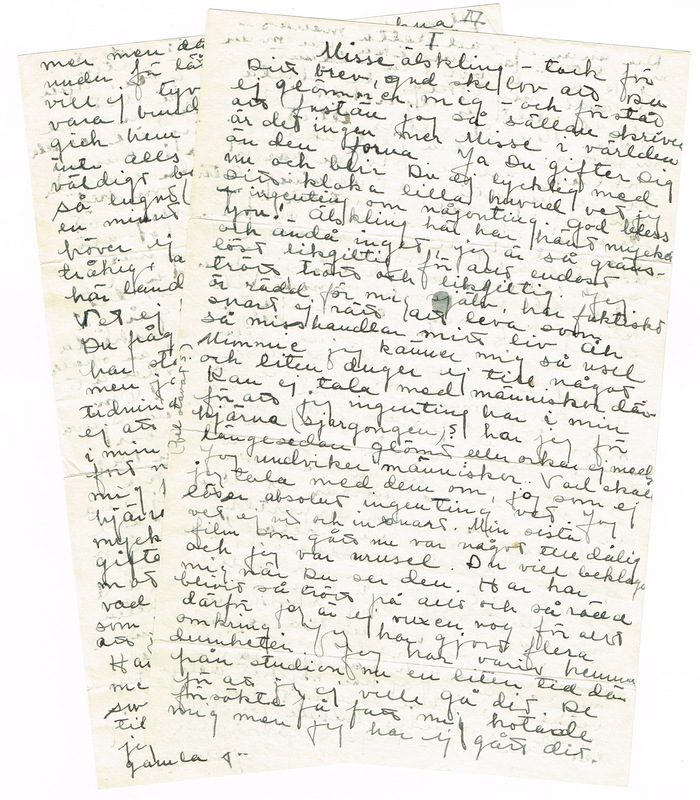 She also sees prospects to increasing her earnings: „[…] Can you understand that those we love leave us and even if we should live for a hundred years ourselves, we would never get to see them again. Never - can you understand that? I was not even given the chance to do something for her. […] The feeling you experience when you say that you were not given the time that feeling cannot be expressed by any human tongue. […] I have been working and working so hard, it is too much for a woman. After this movie [Temptress] I intend to take the consequences and ask for permission to go home. I cannot stand it. I have to go home and see my mother and Alva’s grave. […] I am not able to put any feeling into my work now anyway so I am going to work and then I am going home again, like a machine. […] Stiller is been fired: “You know that Stiller was supposed to be the director of my second movie, the one I am making right now. But only a week after my little sister’s death another punch hit me. Moje, poor Moje. It has been like a living hell for him here. The Americans have been awful. They do not allow him to make movies the way he is used to. They interfere and all his inspiration disappears. Poor Moje, he was so wearied and tired that he just left everything. He was such a nice guy, you know, he did not shout. Did not quarrel. He subsided and ruined things for himself. […] I do not earn much at the moment, only enough to live ,all right, but if my movie is a success I might earn more and I am hoping for a raise. I do hope that I will get rich. […]“ - On April 21, 1926, Garbo’s sister Alva, died from lymphatic cancer. - Pollak attended the Royal Dramatic Theatre school in Stockholm, Sweden with fellow actress Greta Garbo from 1922 to 1924. Garbo moved to the US in 1925 and as Pollak married in 1927 and later had children, although they did maintain contact for over 60 years. 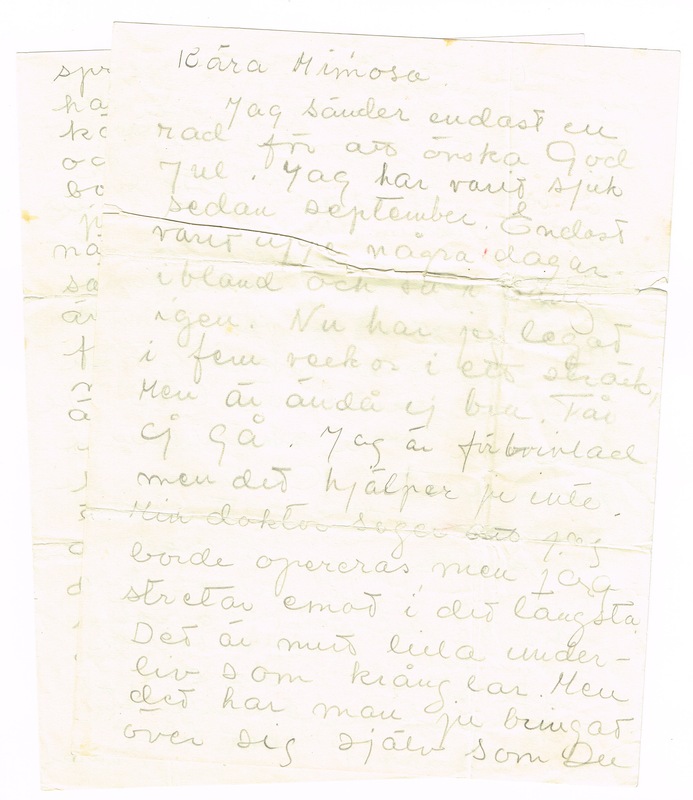 Their relationship and letters are portrayed (published in parts) in the Swedish book Djävla älskade unge! 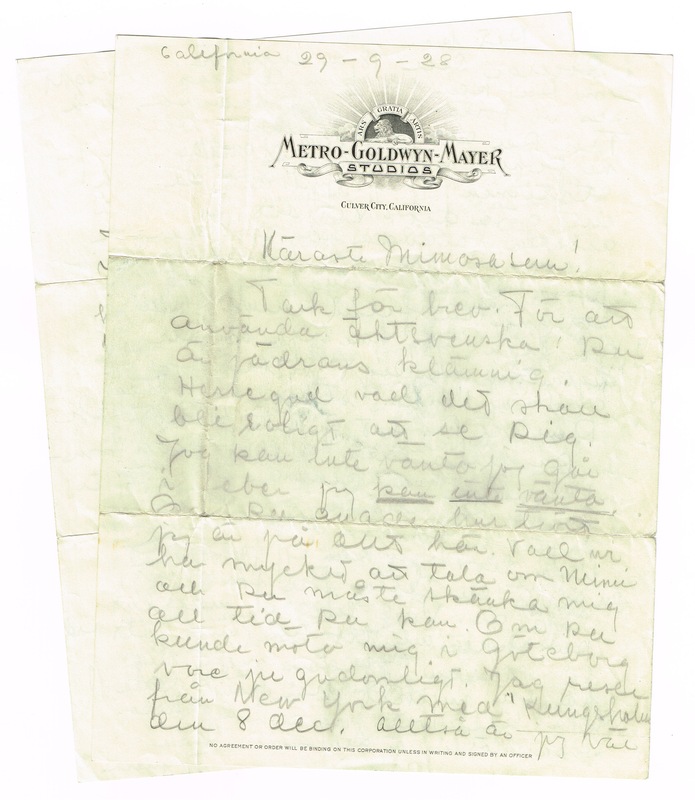 (Bloody Beloved Kid), written by Po Tin Andersén Axell (2005), and in Garbo's personal writings, released in Sweden the same year..
Greta Garbo’s letter to fellow actress, theatre director and friend, Mimi Pollak (1903-1999) in Stockholm about her film „Torrent“: „[…] Saxon has been here as you must know. He is very decent and I always like him except when he wants to marry me […] The Swedes were not delighted with me. I wasn’t as well photographed as I could ahve been. And the script was nothing and if you don’t have any type like me here they may soon tire if I can’t act. Maybe I know something but my disposition is so sorrowful that I am loath when I am playing a scene. I am very alone. I don’t want to and can’t seek American company, therefore it would be an unbelievable improvement to have someone love me. I’d gladly bring over my sister […] I am starting to work with Stiller soon. I am thankful and afraid. I don’t know how it will work to act for him. I must tell you that my film is going for the second week in N.Y.’s largest theatre - two weeks is extremely rare and they blame me for that. I should be happy. […] Lars Hanson is acting for Sjostrom with L. Gish and everyone is talking about him - theat he will be something special. 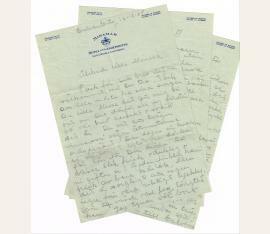 […]“ - On April 21, 1926, Garbo’s sister Alva, died from lymphatic cancer. - Pollak attended the Royal Dramatic Theatre school in Stockholm, Sweden with fellow actress Greta Garbo from 1922 to 1924. Garbo moved to the US in 1925 and as Pollak married in 1927 and later had children, although they did maintain contact for over 60 years. 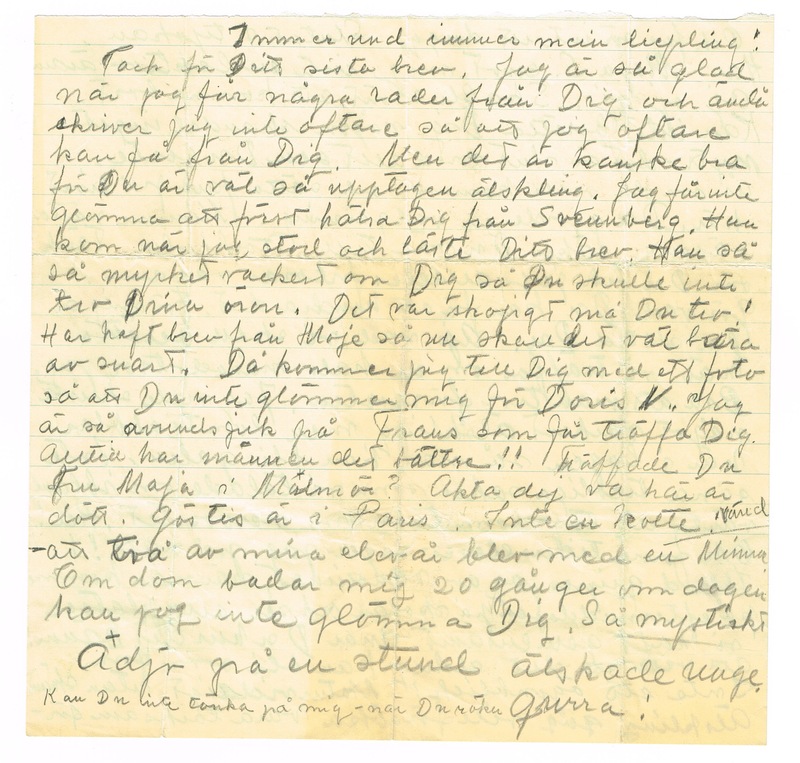 Their relationship and letters are portrayed (published in parts) in the Swedish book Djävla älskade unge! (Bloody Beloved Kid), written by Po Tin Andersén Axell (2005), and in Garbo's personal writings, released in Sweden the same year..
Swedish film actress and an international star and icon during Hollywood's silent and classic periods (1905-1990). 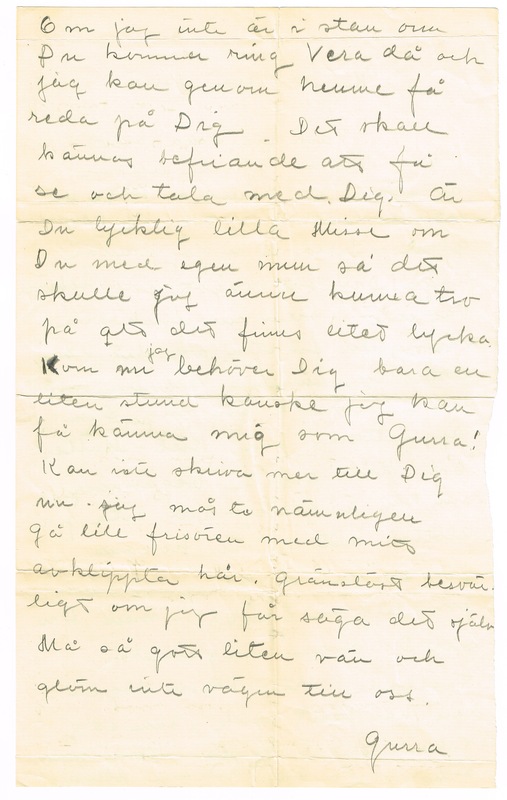 Autograph letter signed in Swedish „Gurra“. Santa Monica. 4to. 4 pp. 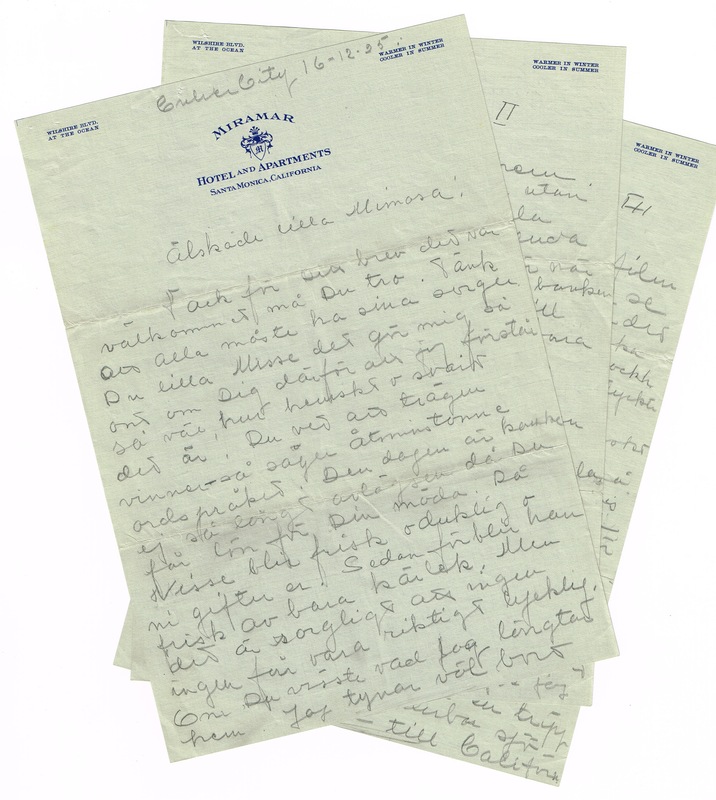 Greta Garbo’s letter to fellow actress, theatre director and friend, Mimi Pollak (1903-1999) in Stockholm: „[…] I am so boundlessly apathetic about everything. Only tired, tired and list less. I am afraid for myself. Soon I really won’t have the right to live the way I am mishandling my life […] My last film is being shown now and it was poor and I was terrible. You can commiserate when you see it. […] You asked about Gilbert. Yes, there has been a lot in the newspapers but I can’t do waht the newspapers expect. I am not suited to be married, I am too uneven in my nature and to nervous […] He is very sweet nand very angry because I don’t want to marry. I have been ugly toward him. I have without knowing waht I want promised many things which now make him unhappy because I can’t go through with them. He has a very pleasant home with everything you might want - tennis, swimming pool, servants, cars everything to make life easier. But I still wander home to my ugly old hotel room. Why? […]“ - Pollak attended the Royal Dramatic Theatre school in Stockholm, Sweden with fellow actress Greta Garbo from 1922 to 1924. Garbo moved to the US in 1925 and as Pollak married in 1927 and later had children, although they did maintain contact for over 60 years. 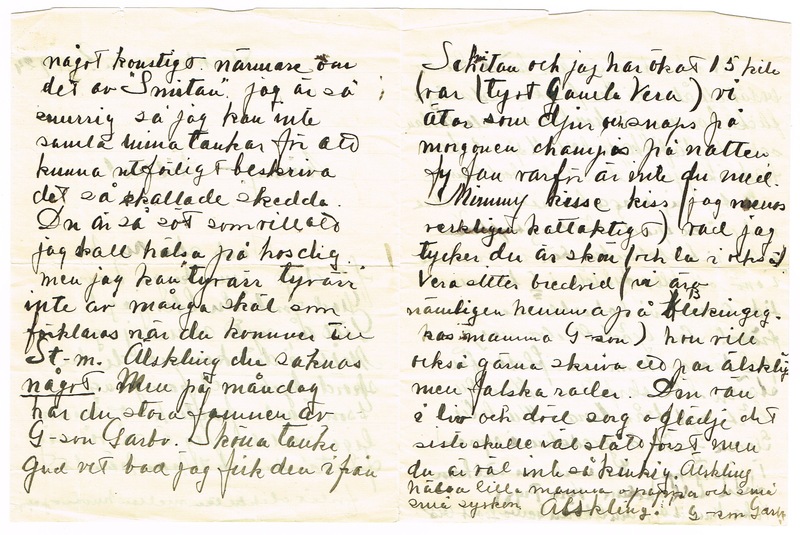 Their relationship and letters are portrayed (published in parts) in the Swedish book Djävla älskade unge! (Bloody Beloved Kid), written by Po Tin Andersén Axell (2005), and in Garbo's personal writings, released in Sweden the same year..
Swedish film actress and an international star and icon during Hollywood's silent and classic periods (1905-1990). 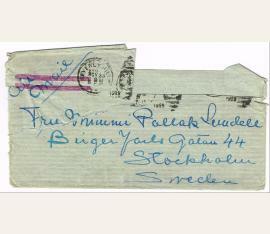 Autograph letter signed in Swedish „Gurra“. Santa Monica. 4to. 8 pp. With autograph envelope. Greta Garbo’s letter to fellow actress, theatre director and friend, Mimi Pollak (1903-1999) in Stockholm: „[…] You know I see red when I think that there you are at home and everything around you that I also like, and I have sold myself and have to stay here. If it wasn’t so terribly tasteless and cheaply vulgar and ugly here. But it can’t be described, it has to be seen. God how we complain we Europeans. And I shouldn’t have anything to say since I haven’t seen the world and I can’t point out its good points. But I am complaining the loudest. I must exist since I work. But I am like someone who has no idea of what one is doing and why. […] Strange the whole thing. I continue to live very much alone. Still at my old hotel with suitcases on the floor so I can always see them and be reminded that one day we’ll go home. […]“ - Pollak attended the Royal Dramatic Theatre school in Stockholm, Sweden with fellow actress Greta Garbo from 1922 to 1924. Garbo moved to the US in 1925 and as Pollak married in 1927 and later had children, although they did maintain contact for over 60 years. 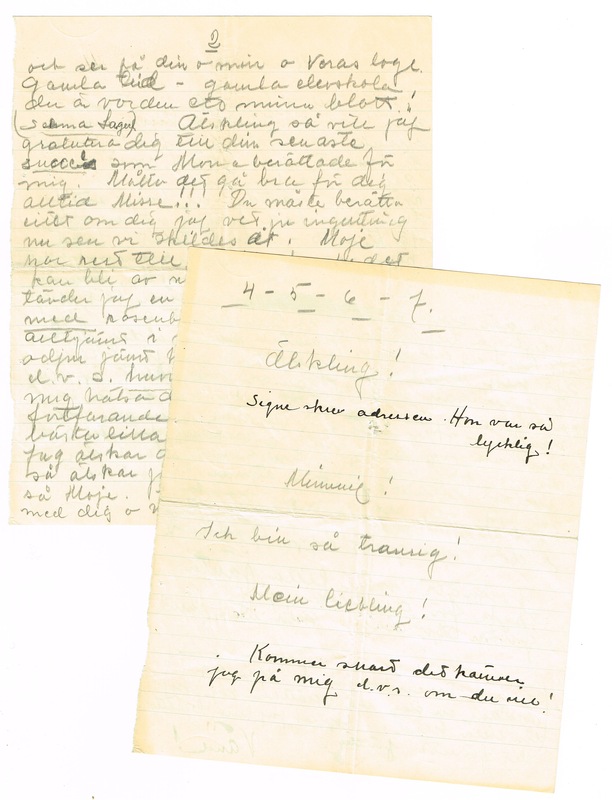 Their relationship and letters are portrayed (published in parts) in the Swedish book Djävla älskade unge! (Bloody Beloved Kid), written by Po Tin Andersén Axell (2005), and in Garbo's personal writings, released in Sweden the same year..
Swedish film actress and an international star and icon during Hollywood's silent and classic periods (1905-1990). 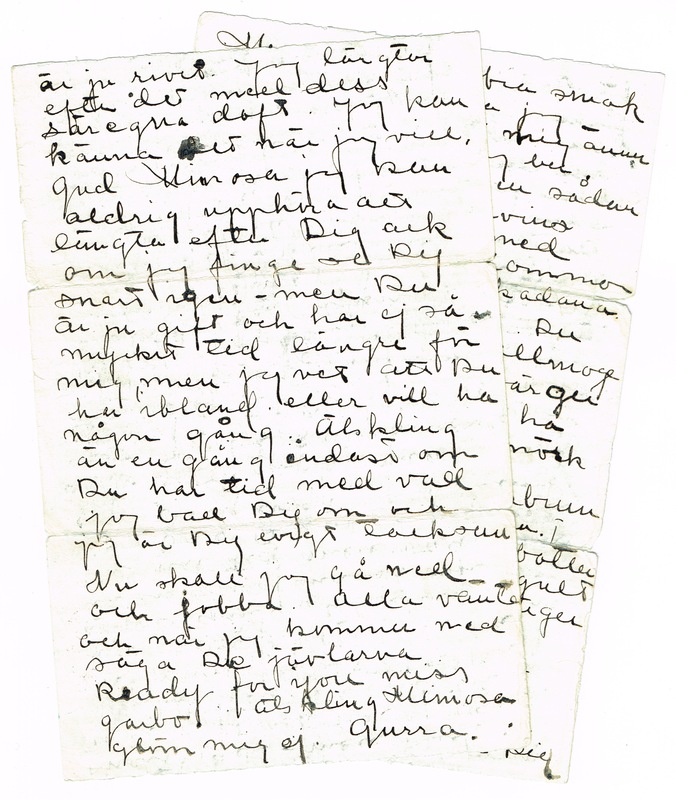 Autograph letter signed in Swedish „Gurra“. Santa Monica. 4to. 6 pp. Pencil. Greta Garbo’s letter to fellow actress, theatre director and friend, Mimi Pollak (1903-1999) in Stockholm: „[…] I don’t put my foot in the studio unless it is necessary. You don’t know this little land, so you can hardly understand what I mean when I say that I am postponing life until I can go home again. It is so boundlessly uninteresting here that you can’t do anything else. The sad thing is I am not interested in my work. It is only a factory here. […]“ - Pollak attended the Royal Dramatic Theatre school in Stockholm, Sweden with fellow actress Greta Garbo from 1922 to 1924. Garbo moved to the US in 1925 and as Pollak married in 1927 and later had children, although they did maintain contact for over 60 years. 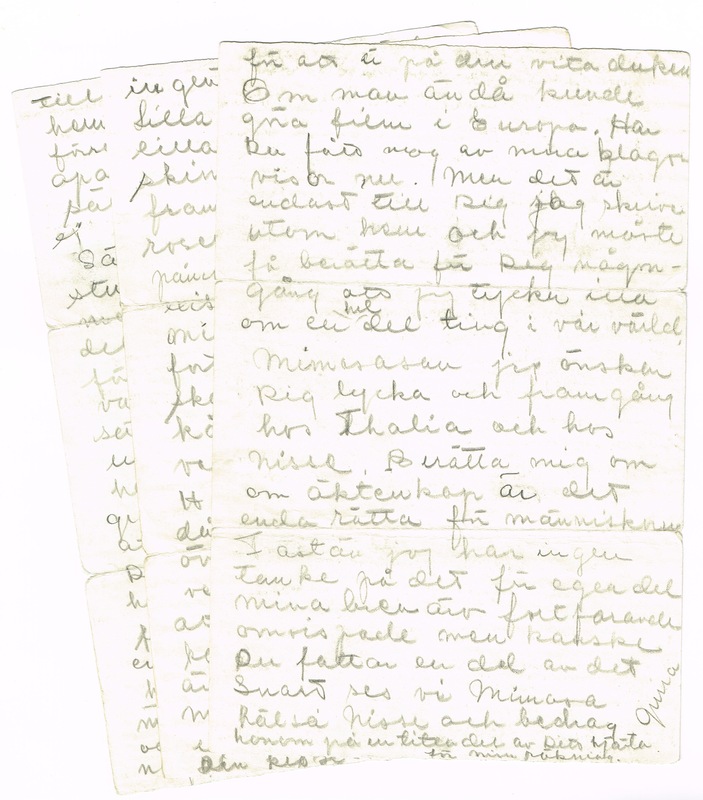 Their relationship and letters are portrayed (published in parts) in the Swedish book Djävla älskade unge! (Bloody Beloved Kid), written by Po Tin Andersén Axell (2005), and in Garbo's personal writings, released in Sweden the same year..
Swedish film actress and an international star and icon during Hollywood's silent and classic periods (1905-1990). 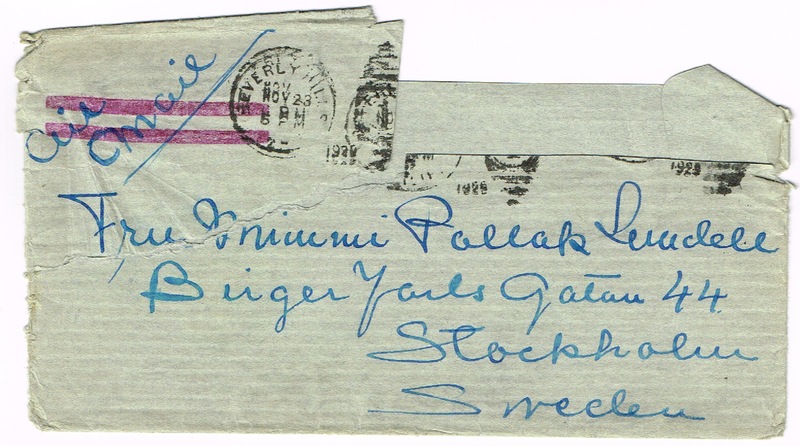 Autograph letter signed in Swedish „Gurra“. Culver City. 4to. 4 pp. Pencil. MGM letterhead. 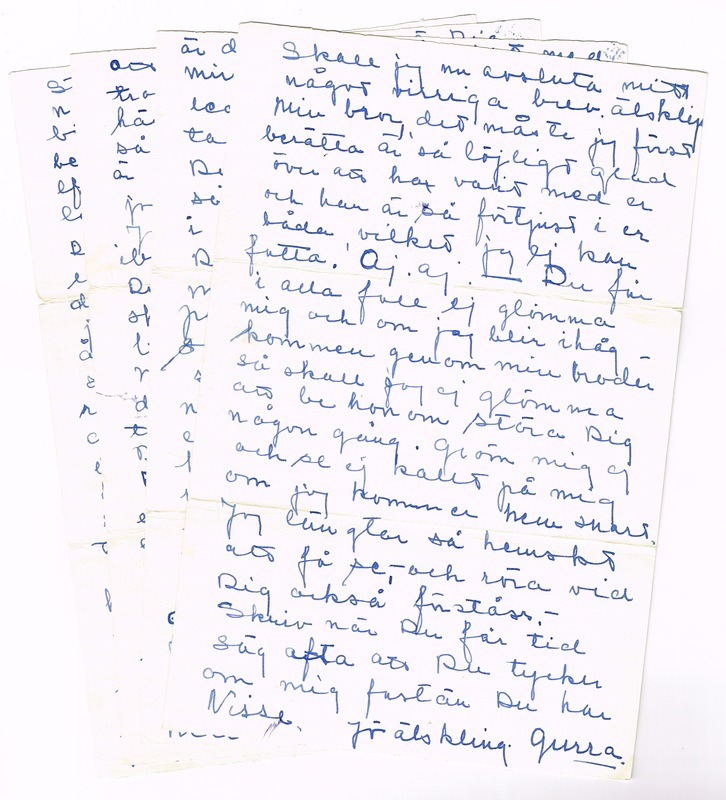 Greta Garbo’s letter to fellow actress, theatre director and friend, Mimi Pollak (1903-1999) in Stockholm: „[…] To use genuine Swedish. You’re damn plucky. Good God what it will be fun to see you. I can’t wait I’m so excited I can not wait. If you knew how tired I am of everything here. Certainly we will have much to talk about Mimi and you must give me all the time you can. If you could meet me in Goteborg it would be divine. I leave New York on the Kungsholm on December 8th. Therefore, I should be in Sweden approximately the 18th. If you can come. Otherwise we will see each other as soon as possible at home. Do you think people will be curious and come to the station. I hope that they don’t. Know that I worked everyday like a slave to be finished. The bastards forced me to grind out another film before I could go home. I have no clothes, nothing ready. I don’t know if I’ll have time to get to the boat. You know how it is don’t you - You little, little Mimosa. Flow I will hug you. Then you must tell me about your wedding and your married life. I can’t comprehend that you have been a little wife for almost two years. How strange life is. Don’t think that life has gone so greatly for me. So much has happened. And I know just as little about the whole thing. The great mystery is just as insoluble. I feel how sentimental we will both be when we shower our friendship over each other. I have no one here that I can talk to and I don’t want anyone anyway. Mimosa you are still the only one. I can see us out to lunch or dinner together at “Starfickan.” I wish that all the students from our time would come to a nice little dinner with us. Either in the house that I hope to have or some well known tavern. I’d like to do that. It can certainly be arranged all right (in English). I’m sitting in the studio now waiting to be called. It is already 8 at night and I am so damned tired and long so to go home - and then I smoke one of those god damned American cigarettes. Do you understand me now and how I look. I constantly complain about everything American. But it is so hopeless. And then I stop complaining for a few minutes and tell myself, “I will soon be on my way to Sweden. To hell with you bastards. Well, well, well. 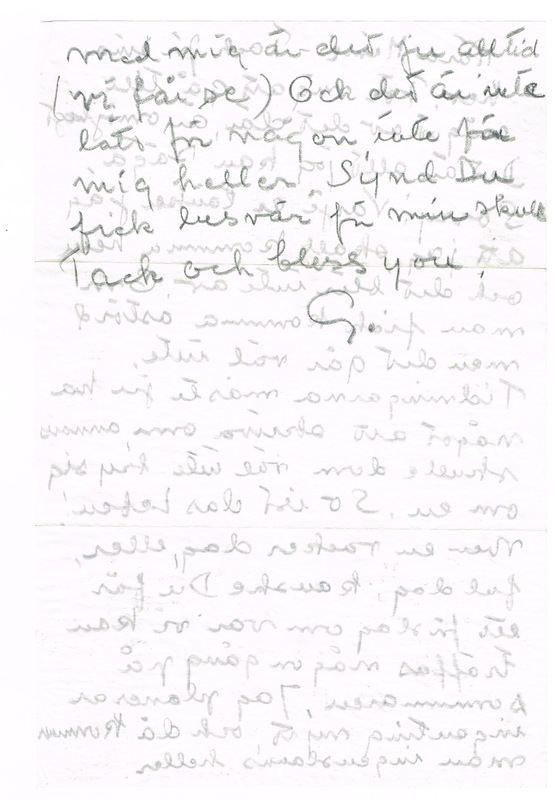 ” (in English) Darling can you send me a few lines immediately and tell me if you are coming to Goteborg. I don’t know if I have to stay a day or can take the train directly to Stockholm. Goodbye we will see each other soon. […]“ - Pollak attended the Royal Dramatic Theatre school in Stockholm, Sweden with fellow actress Greta Garbo from 1922 to 1924. Garbo moved to the US in 1925 and as Pollak married in 1927 and later had children, although they did maintain contact for over 60 years. 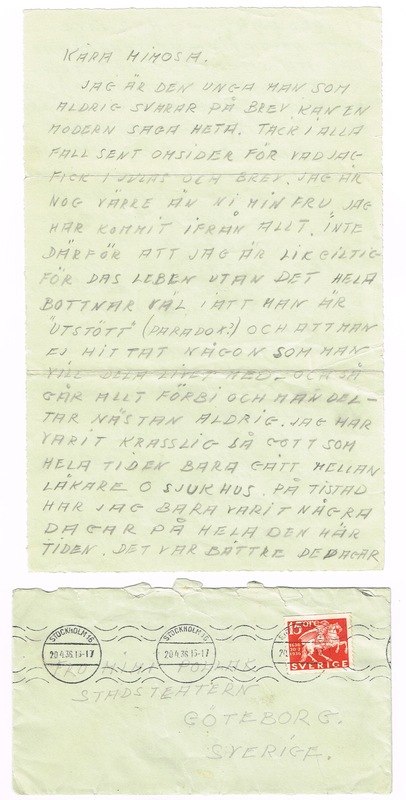 Their relationship and letters are portrayed (published in parts) in the Swedish book Djävla älskade unge! (Bloody Beloved Kid), written by Po Tin Andersén Axell (2005), and in Garbo's personal writings, released in Sweden the same year..
Swedish film actress and an international star and icon during Hollywood's silent and classic periods (1905-1990). 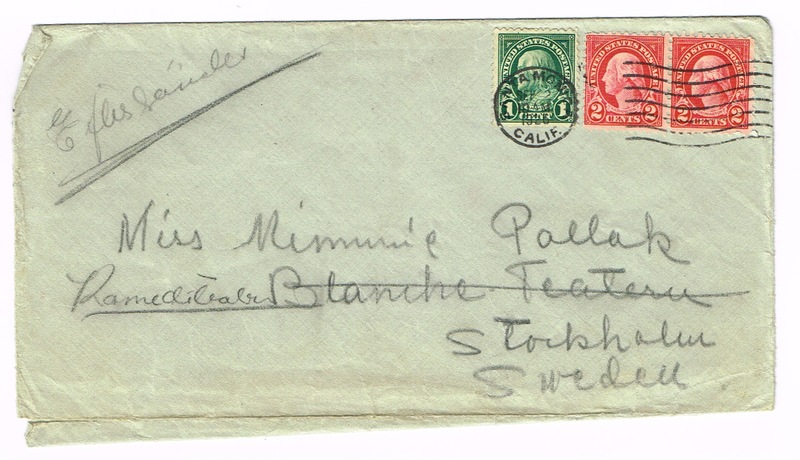 Autograph letter signed in Swedish „Gurra“. California. 4to. 8 pp. Pencil. With autograph envelope. 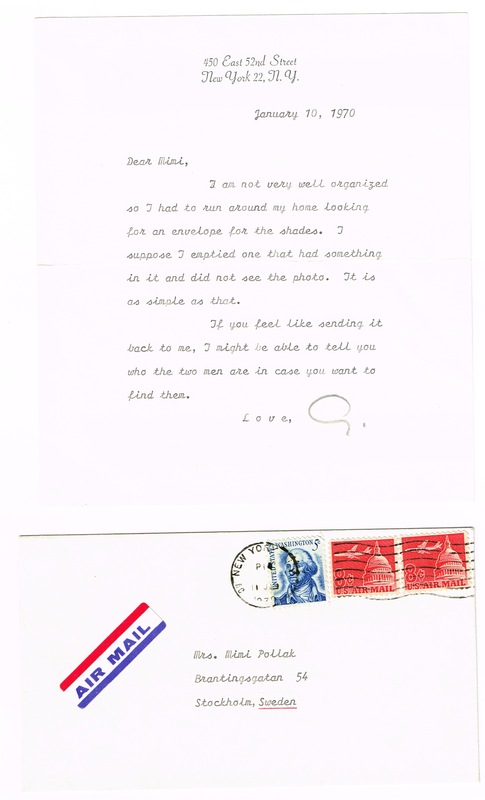 Greta Garbo’s letter to fellow actress, theatre director and friend, Mimi Pollak (1903-1999) in Stockholm: „[…] Shame, what a big surprise with your letter. Not a living soul had told me that my friend would give a new little Mimosa to the world. I feel that that is what will happen because the world never stands still dear friend. It’s just that we don’t have time. When I try to think about it I get tired. You were my friend. I went away. You married, you should have children. How wonderful for you but I feel excluded. I don’t have time. Everything goes away from me. Finally I am so alone because I can’t do anything else. But I won’t harp on it more because it is your own task to take care of it. No that isn’t true. One can’t help a change. The nature with which God has created us. I don't know but I am selfish as most are. I always thought that you and I belonged together in our own way. I can’t fully comprehend that e~. erything has changed. Myself, I know my own life is absolutely no star. I live simply and extremely withdrawn. See no people and know almost nothing about my position. I could just as well be back at the theatre school and eating lunch with you, at least it was rleasant and we can say happy. But life goes on (in German) completely wrong spelling. More over you probably can’t read what I write. Furthermore, I am tired, sleep badly and that makes one endlessly sad. Shame what an ugly letter you are getting from me. I must be unthankful to take such a bitter tone. You know if Nisse reads this he certainly would think that I was your lover, jilted lover. When I come home I’ll go out for a walk with your little child. What will it be called? I don’t understand anything. Carboni Pollack Mimosa Lundell. Cant you write me now and then when you have time and tell me what you feel and think. Had a letter from Marta with a photo of you and your head that she had made. I would really like to see it. Save it until I can. I’ve just sent an answer to Marta, I like her a great deal. She is sick in her nerves. Oh what a pity it is about her. Have received a letter from Horke. She told me that she had had dinner with you. I’d like to redo that trip to Tislad but not so frantically. I long dreadfully to come home and this is all that happens. But the time goes quickly happily enough and sadly enough. Dearest, don’t think despite my harangue that I don’t have time for you and am delighted that you are happy. But we belong together you and I since long ago. Whatever happens to you has a little bit to do with me. We have had many moments together that are pleasant to remember. Anyway, we had a very good time together. I get practically nervous when I think hat soon you will hold that little one and cry from happiness -1 actually feel a little paternal also. You aren’t going to act for a few months after it has happened. You certainly will be much stronger after you have had a child. Remember what Mrs. Schildknecht (don’t know how the name is spelled) said. Yes, now I can just wish you all, all happiness and assure you that I am ‘angry’ not to be with you. Greet your father and mother so very much, and Sven of course. And maybe you should give a little greeting to the henhouse. Oh how it must be enchanting at your place now. Yes, maybe soon the day will come when we can go out and look for eggs together. Keep well, Mimosa and when you have a free moment, tell me more. Greet the expectant father. […]“ - Pollak attended the Royal Dramatic Theatre school in Stockholm, Sweden with fellow actress Greta Garbo from 1922 to 1924. Garbo moved to the US in 1925 and as Pollak married in 1927 and later had children, although they did maintain contact for over 60 years. 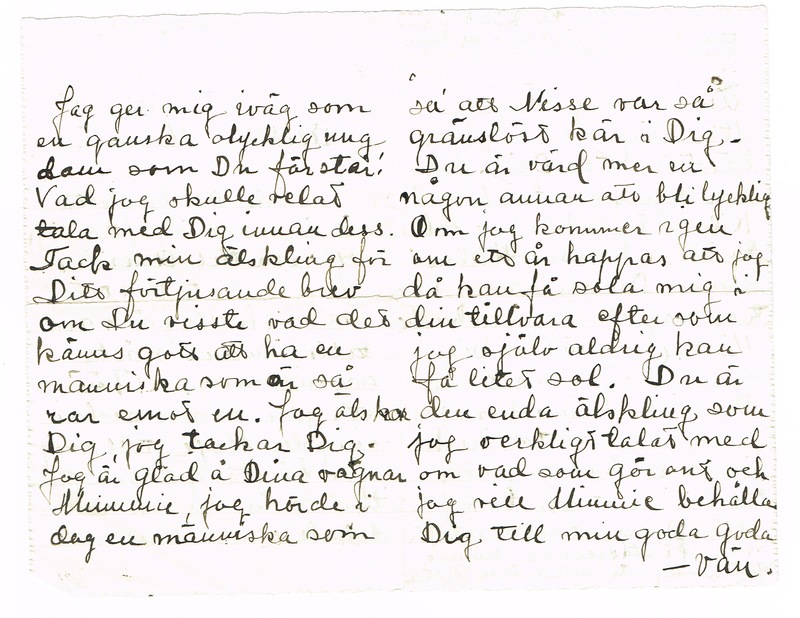 Their relationship and letters are portrayed (published in parts) in the Swedish book Djävla älskade unge! (Bloody Beloved Kid), written by Po Tin Andersén Axell (2005), and in Garbo's personal writings, released in Sweden the same year..
Swedish film actress and an international star and icon during Hollywood's silent and classic periods (1905-1990). 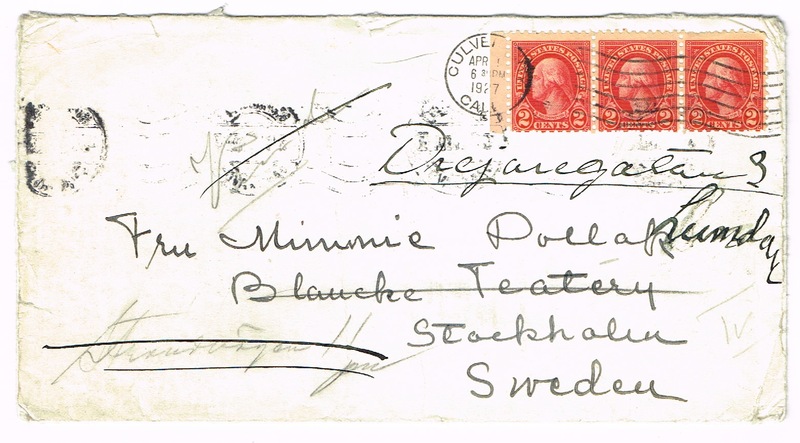 Autograph letter in Swedish. California. Oblong 8vo. 4 pp. Pencil. With autograph envelope. 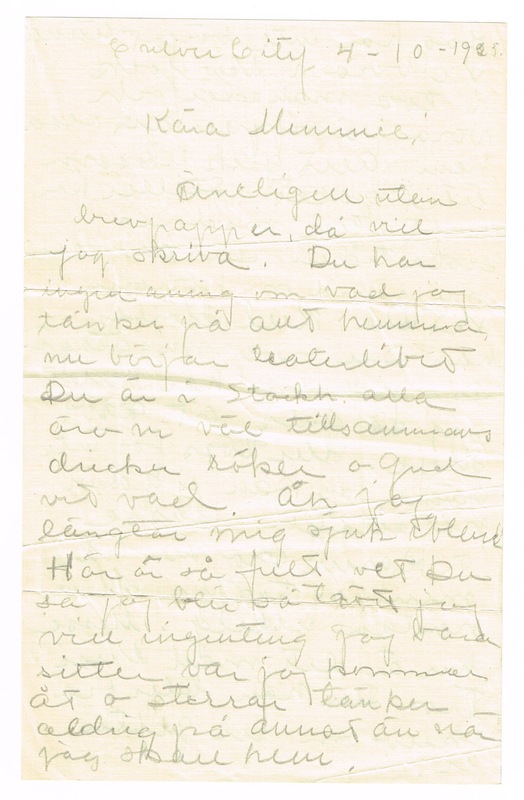 Greta Garbo’s letter to fellow actress, theatre director and friend, Mimi Pollak (1903-1999) in Stockholm: „[…] I should have written long ago but I have been sick since my birthday and here I am lying in bed, a little better, because I would have liked a week in the country all alone and running in the woods. But that didn’t work out. I’m going to go to Stockholm now. In any case I have had the company of your ‘head’ which I am extremely happy to have. But if I had known that you would have troubled yourself with all that when I happened to mention that I liked it, I wouldn’t so quickly have said that I wanted it. You have my deepest thanks. Now I don't know what sentence the doctor will give me. Maybe I shall have to stay in bed longer. I have a temperature. But even if I get well, I don’t think I dare go out among people. I'm thinking of Gothenburg. I just get so down and unhappy afterward if they recognize me and they probably will and then it isn’t worth it. It takes too great a toll on my grayed nerves. But we will have to see. If it can work out, I’ll call you. If not we will have to think of something else. I’m lying down and writing so my handwriting is better than ever. Oh Mimosa. I wish we were back at the Drama School. I long to go back there and I want to go with you. I’d like to stay there several hours. But maybe you’ll come up to Stockholm one day and we can go. I don’t have anything happy and new to tell you, just that it is raining outside and the room that I am lying in is very cold. But I want to hear the rain in my native country so the window is open. If you were here and I was well, I’d invite you to swim. God knows what would happen after that. If you miss me sometimes then write. If you can come yourself, do it. I don’t know where I shall live but for my mother’s sake I shall try to live with Sven. Klippgatan. 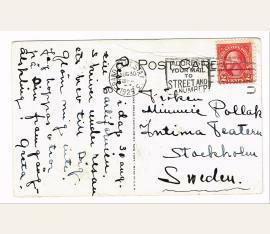 You can send all your wonderful letters with happy news there for then the King of Siam will also be happy. […]“ - Pollak attended the Royal Dramatic Theatre school in Stockholm, Sweden with fellow actress Greta Garbo from 1922 to 1924. Garbo moved to the US in 1925 and as Pollak married in 1927 and later had children, although they did maintain contact for over 60 years. 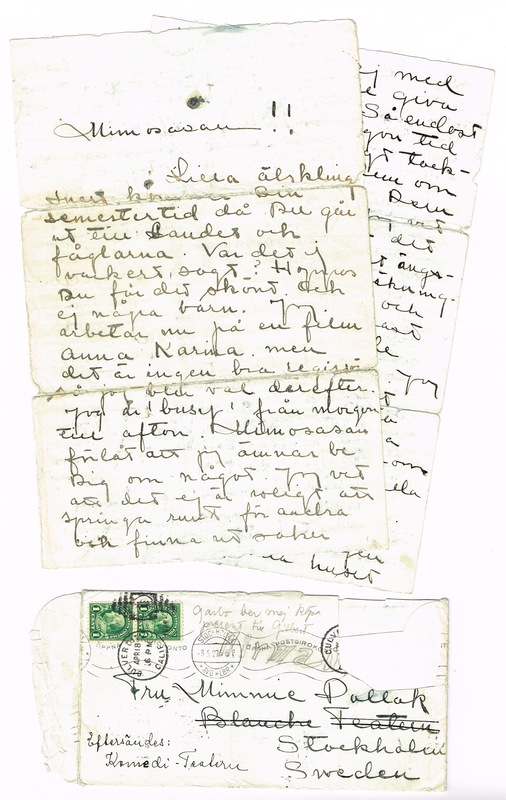 Their relationship and letters are portrayed (published in parts) in the Swedish book Djävla älskade unge! (Bloody Beloved Kid), written by Po Tin Andersén Axell (2005), and in Garbo's personal writings, released in Sweden the same year..
Swedish film actress and an international star and icon during Hollywood's silent and classic periods (1905-1990). Autograph letter signed „Gurra“. Swedish. California. Larger 4to. 4 pp. Pencil. With autograph envelope. 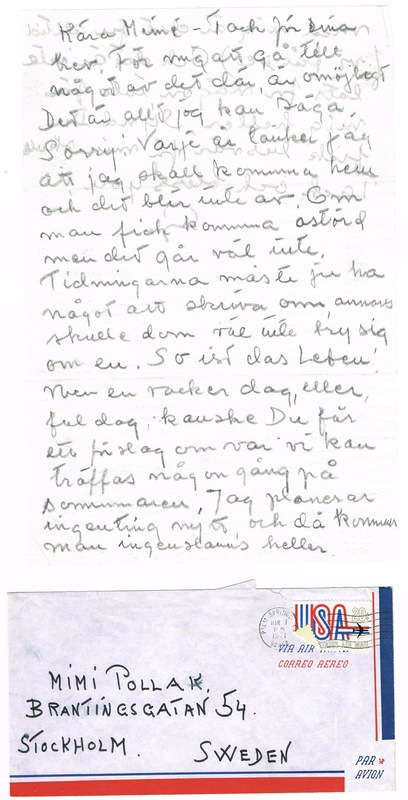 Greta Garbo’s letter to fellow actress, theatre director and friend, Mimi Pollak (1903-1999) in Stockholm: „[…] I’m only sending you a line to wish you Merry Christmas. I’ve been sick since September. I’ve only been up a few days sometimes and then in bed again. Now I have been in bed for a five week stretch but I’m still not well. I’m not allowed to walk. I’m desperate but that doesn’t help. My doctor says I should be operated on but I am resisting as long as possible. It is now my lower abdomen that is causing trouble. But that one has brought on oneself as you may realize. It is a pity for human beings as you also know. I see with pleasure that it is going well for you. Good, little girl all alone. It is lonely that I know also. Yes, we know so much that soon you don’t know what to do with all our boundless wisdom, I’m joking as always. God if it were ten years ago, then I would go with you for coffee and we would be so serious and sweet, but full of bubbling curiosity within us. And we wouldn’t know how frantically fast life runs away. I don’t have any Christmas. Maybe I’ll be driven up to my brother’s and sit at their table awhile but that won’t be so much fun for them since I’m not in any way Santa Claus. Moreover, one is a stranger and a thousand times more when one isn’t well. And no ‘toto’ for you and Lasse. I can’t cope with anything. But you must forget that I exist and it will be allright. 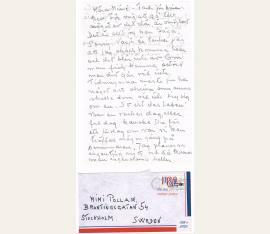 This wasn’t a pleasant letter but if with God’s help I get well I shall write a happier one. But I am so boundlessly, childishly disappointed. I shall just wish you a delightful Christmas because now you don’t have time to read more in the middle of the Christmas preparations. And I know that you will have it pleasant and enjoyable. You have your boy who will be happy over everything nice that you do for him. Maybe I can be with you sometime when […]“ - Pollak attended the Royal Dramatic Theatre school in Stockholm, Sweden with fellow actress Greta Garbo from 1922 to 1924. Garbo moved to the US in 1925 and as Pollak married in 1927 and later had children, although they did maintain contact for over 60 years. 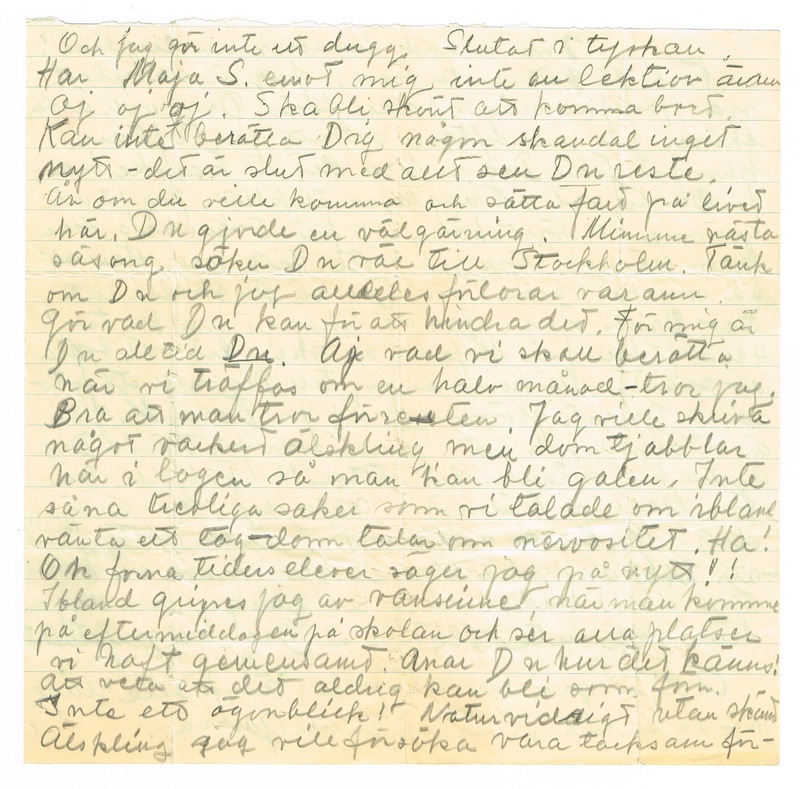 Their relationship and letters are portrayed (published in parts) in the Swedish book Djävla älskade unge! (Bloody Beloved Kid), written by Po Tin Andersén Axell (2005), and in Garbo's personal writings, released in Sweden the same year..
Swedish film actress and an international star and icon during Hollywood's silent and classic periods (1905-1990). Autograph letter signed „G.“. Swedish. Palm Springs. 4to. 2 pp. Pencil. With autograph envelope. 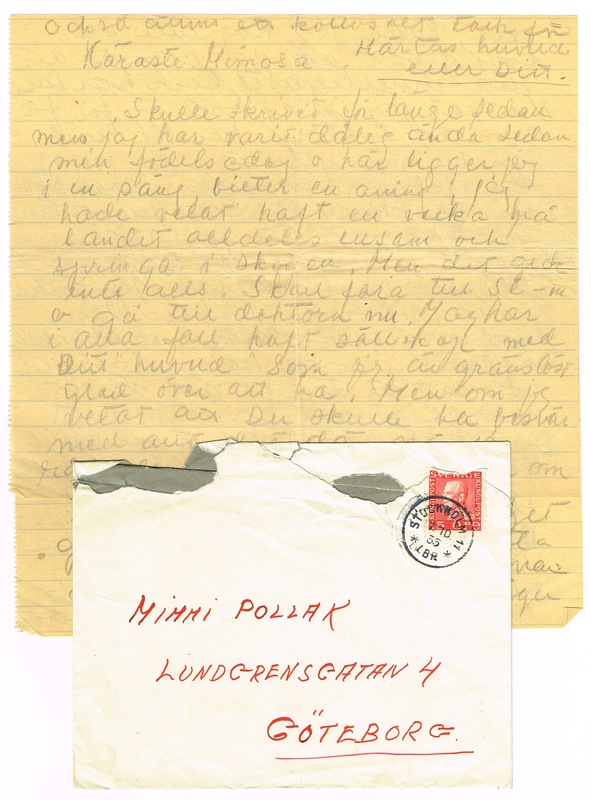 Greta Garbo’s letter to fellow actress, theatre director and friend, Mimi Pollak (1903-1999) in Stockholm: „[…] Thank you for your letter. For me to go to anything like that is impossible. That is all I can say. Sorry. Every year I think that I shall come home, but it doesn’t come to pass. If one could come unmolested but that won’t happen. The newspapers have to have something to write about otherwise they wouldn’t care about you. Such is life! (written in German as So ist das Leben!) But one nice day, or bad day, maybe you will get a suggestion of where we can meet sometime in the summer. I don’t plan anvthing and then you don’t get anywhere. With me it is always ‘we will see.’ And that isn’t easy for anyone. Not for me either. Sorry you had bother for my sake. Thanks and bless you. […]“ - Pollak attended the Royal Dramatic Theatre school in Stockholm, Sweden with fellow actress Greta Garbo from 1922 to 1924. Garbo moved to the US in 1925 and as Pollak married in 1927 and later had children, although they did maintain contact for over 60 years. 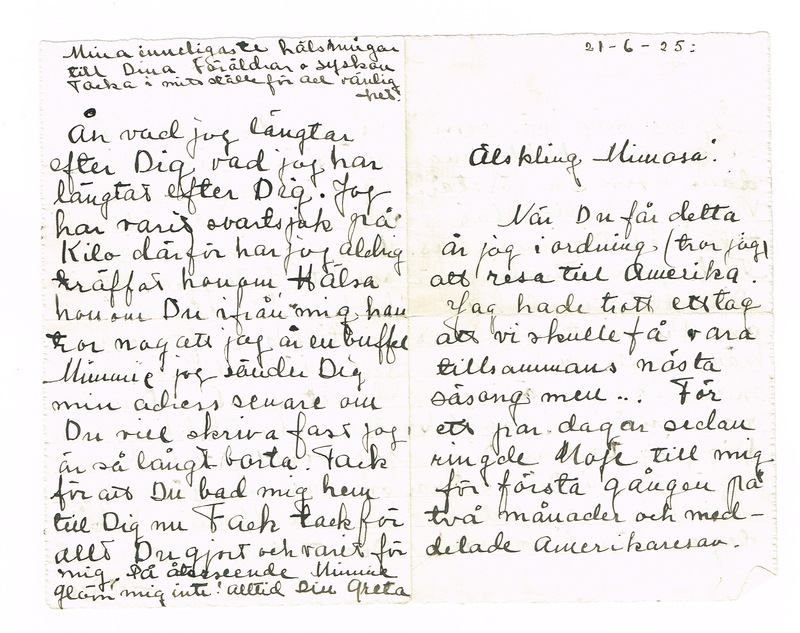 Their relationship and letters are portrayed (published in parts) in the Swedish book Djävla älskade unge! (Bloody Beloved Kid), written by Po Tin Andersén Axell (2005), and in Garbo's personal writings, released in Sweden the same year..
Swedish film actress and an international star and icon during Hollywood's silent and classic periods (1905-1990). Typed letter signed „G.“. English. New York. 8vo. 1 p. Pencil. With envelope. 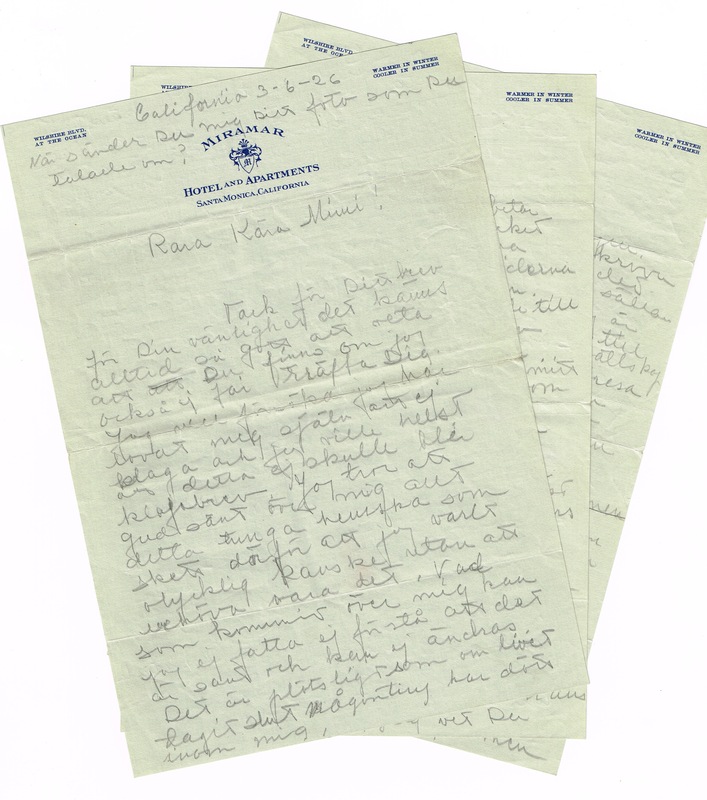 Greta Garbo’s letter to fellow actress, theatre director and friend, Mimi Pollak (1903-1999) in Stockholm: „[…] I am not very well organized so I had to run around my home looking for an envelope for the shades. I suppose I emptied one that had something in it and did not see the photo. It is as simple as that. If you feel like sending it back to me, I might be able to tell you who the two men are in case you want to find them. […]“ - Pollak attended the Royal Dramatic Theatre school in Stockholm, Sweden with fellow actress Greta Garbo from 1922 to 1924. Swedish film actress and an international star and icon during Hollywood's silent and classic periods (1905-1990). Autograph letter signed „G.“. Swedish. New York. 8vo. 2 pp. Pencil. With autograph envelope. 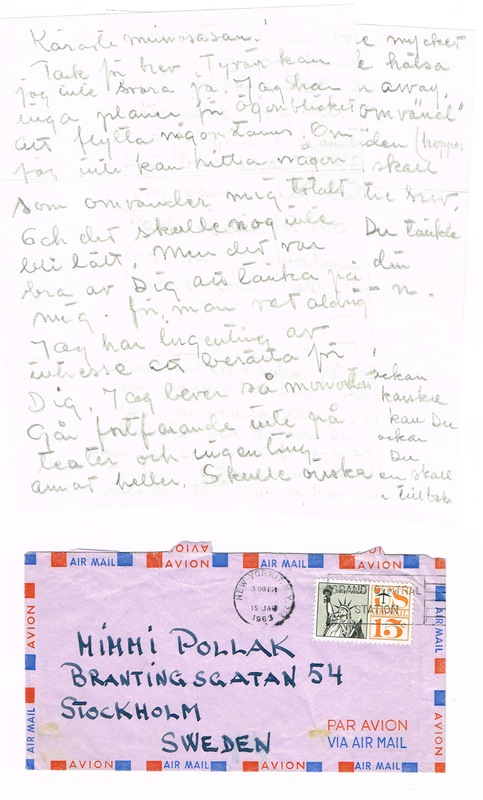 Greta Garbo’s letter to fellow actress, theatre director and friend, Mimi Pollak (1903-1999) in Stockholm: „[…] Thank you for your letter. Unfortunately, I can’t answer yes. I have no plans for the moment to move anywhere. If I don’t find someone who changes me totally and that won’t be easy. But it was good of you to thing of me because you never know. I have nothing of interest to tell you. I live so monotonously - still don’t go to the theatre or anything else. I wish that Stockholm was much closer so that I could visit often. So far away (in English); Hope I'll be 'changed’ sometime in the future (hope it will be soon) so that I can send a better letter. Thank you again because you thought of me. Greet your boy and Her N-n. G I’m just thinking of the jacket that was sent to you. Maybe you can use it. So maybe when you thank her for your scarf you can say that you are thanking for me and that it will wait at your place until I return. […]“ - Pollak attended the Royal Dramatic Theatre school in Stockholm, Sweden with fellow actress Greta Garbo from 1922 to 1924. Garbo moved to the US in 1925 and as Pollak married in 1927 and later had children, although they did maintain contact for over 60 years. 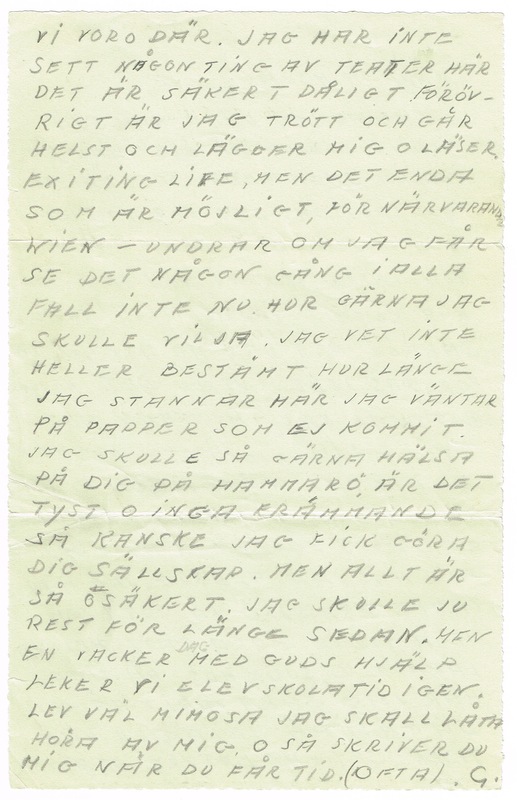 Their relationship and letters are portrayed (published in parts) in the Swedish book Djävla älskade unge! (Bloody Beloved Kid), written by Po Tin Andersén Axell (2005), and in Garbo's personal writings, released in Sweden the same year..
Swedish film actress and an international star and icon during Hollywood's silent and classic periods (1905-1990). 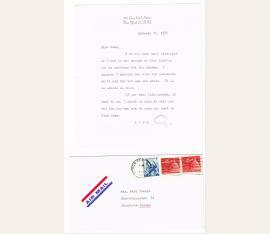 Autograph letter signed „G.“. Swedish. Stockholm. 4to. 2 pp. Pencil. With autograph envelope. 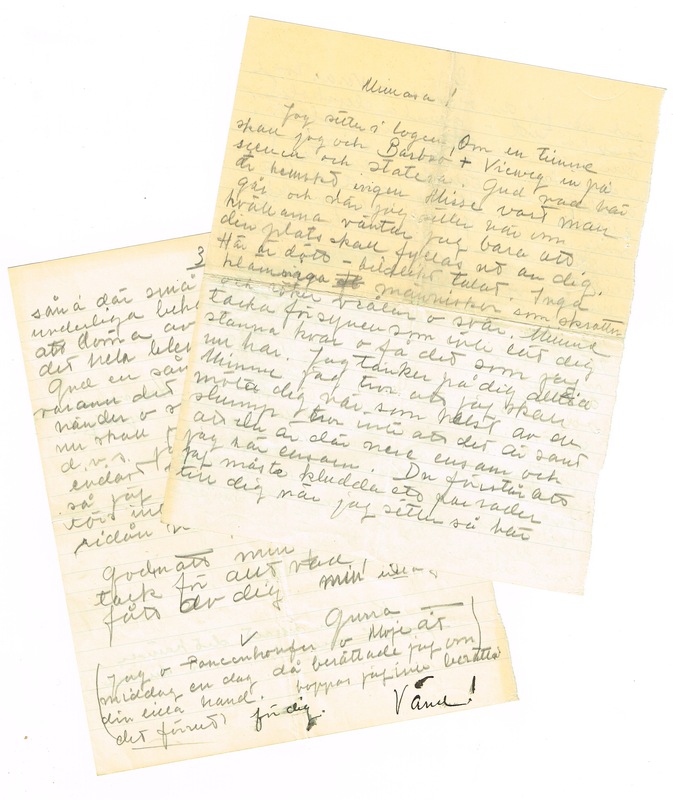 Greta Garbo’s letter to fellow actress, theatre director and friend, Mimi Pollak (1903-1999) in Stockholm: „[…] I am the young man who never answers letters a modem tale can be told. Even though late, thank you for what I received at Christmas and the letter. I am certainly worse than you my lady. I’ve withdrawn from everything. Not because I’m indifferent to life (das leben) but the bottom line is that one is rejected (paradox?) and that one hasn’t found someone that you want to share your life with - and so everything passes by and you almost never participate. I've been out of sorts almost the whole time - only gone to doctors or the hospital. I've only been to Tistad a few days during all this time. It was better the days I was there. I haven’t seen any theatre here. It is certainly poor. Moreover I am tired and prefer to go to bed and read. Exciting Life (in English), but it is the only possibility for now. Vienna - I wonder if I shall see it sometime but in any case not now. How much I would like to. I don’t know either definitely how long I shall stay here I am waiting for papers that haven’t come. I'd so happily visit you at Hammaro, if it is quiet and no strangers maybe I could keep you company. But everything is so uncertain. I should have left long ago. But one beautiful day with God’s help we’ll play student days again. Live well Mimosa. I’ll let you hear from me again. And you write me when you have time (often) […]“ - Pollak attended the Royal Dramatic Theatre school in Stockholm, Sweden with fellow actress Greta Garbo from 1922 to 1924. Garbo moved to the US in 1925 and as Pollak married in 1927 and later had children, although they did maintain contact for over 60 years. 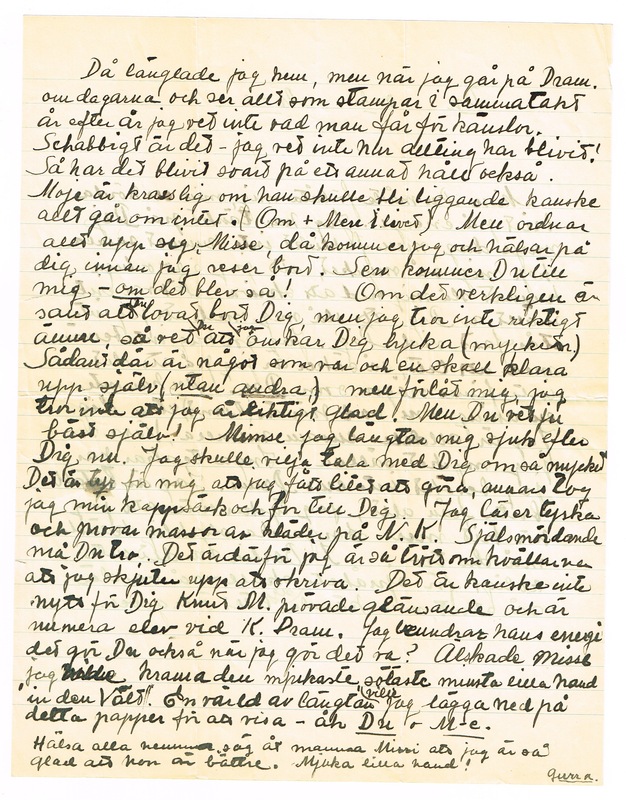 Their relationship and letters are portrayed (published in parts) in the Swedish book Djävla älskade unge! (Bloody Beloved Kid), written by Po Tin Andersén Axell (2005), and in Garbo's personal writings, released in Sweden the same year..
Swedish film actress and an international star and icon during Hollywood's silent and classic periods (1905-1990). Autograph envelope. Culver City. 8vo. 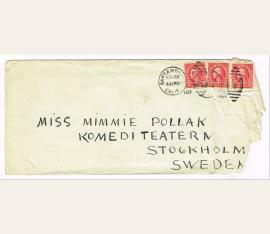 Addressed to fellow actress, theatre director and friend, Mimi Pollak (1903-1999) in Stockholm. - Pollak attended the Royal Dramatic Theatre school in Stockholm, Sweden with fellow actress Greta Garbo from 1922 to 1924. Garbo moved to the US in 1925 and as Pollak married in 1927 and later had children, although they did maintain contact for over 60 years. 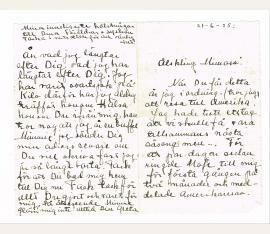 Their relationship and letters are portrayed (published in parts) in the Swedish book Djävla älskade unge! (Bloody Beloved Kid), written by Po Tin Andersén Axell (2005), and in Garbo's personal writings, released in Sweden the same year. Swedish film actress and an international star and icon during Hollywood's silent and classic periods (1905-1990). Autograph envelope. Santa Monica. 8vo. Swedish film actress and an international star and icon during Hollywood's silent and classic periods (1905-1990). Autograph envelope. Beverly Hills. 8vo. 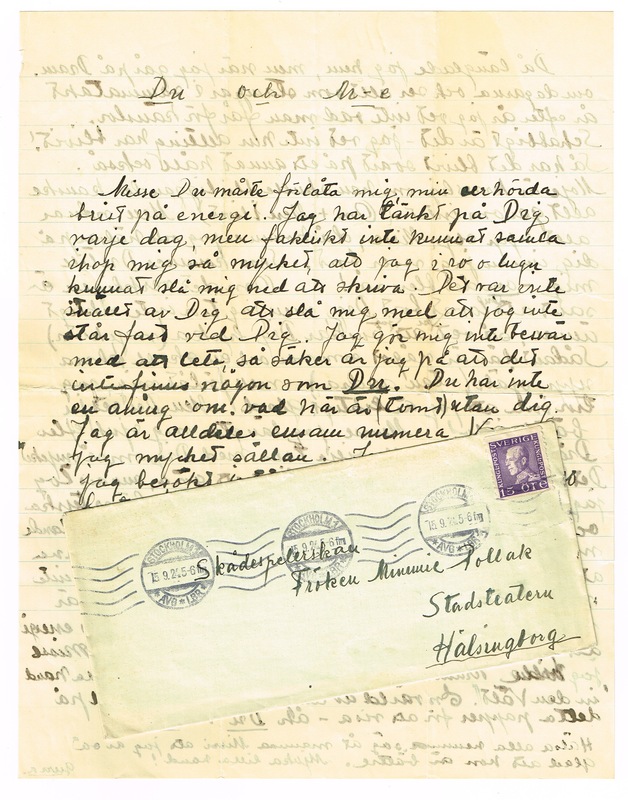 Autograph postcard signed in Swedish „Greta“.